New York (TADIAS) — TSEHAI Publishers celebrates its twentieth anniversary this month along with the launch of the first book under its new imprint, Harriet Tubman Press entitled Voices from Leimert Park Redux. Founded by Ethiopian American publisher Elias Wondimu, TSEHAI Publishers — which is located at Loyola Marymount University (LMU) in Los Angeles — is the only African or African-American owned press housed in a U.S. university (Howard University Press closed in 2011). “The launch of this historic imprint boldly reinforces the necessity and value of giving place for our voices in the national and global discourse on race, culture, the arts and so many more important facets of our collective humanity,” says Elias. 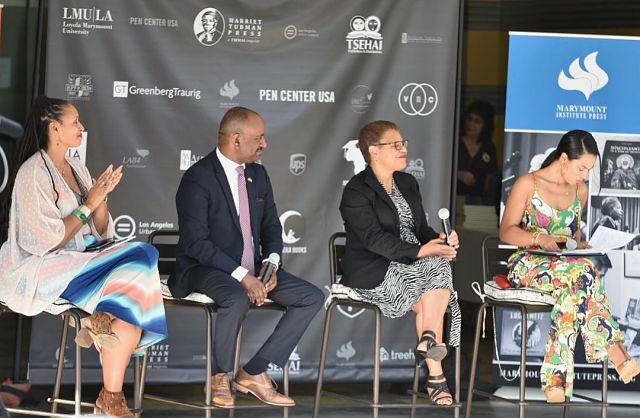 The book launch event was held in front of the Vision Theatre in Leimert Park on Saturday, October 14th sponsored by PEN Center USA and LA Review of Books. The program included live readings by the poets featured in the inaugural publication highlighting the “diverse voices of Los Angeles” and speeches by Congresswoman Karen Bass, Supervisor Mark Ridley Thomas, CNN and NPR analyst Angela Rye, as well as Elias Wondimu and Shonda Buchanan, Editor of the Harriet Tubman Press and the press’ first book Voices from Leimert Park Redux. “It is going to be a great continuation of LMU and TSEHAI’s Harriet Tubman Press’ engagement in the Leimert Park Community,” Elias added. Click here for updates on Facebook. 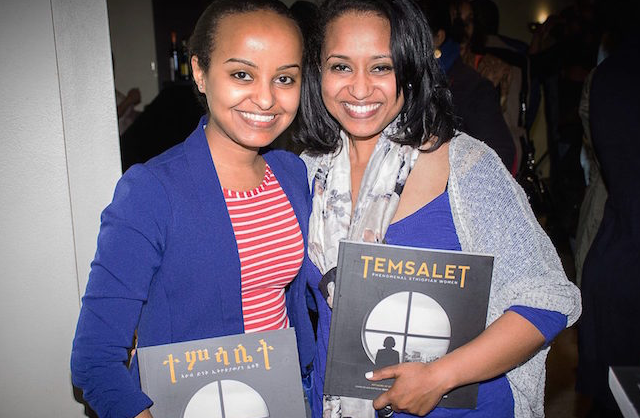 New York (TADIAS) — Below are photos from last month’s Temsalet Book Signing at the Library of Congress in Washington, D.C. hosted by Tsehai Publishers and Loyola Marymount University. The program, which was held on Saturday, June 25th included a presentation by Founder of Tsehai Publishers Elias Wondimu and a book talk by Editor Mary-Jane Wagle featuring Temsalet: Phenomenal Ethiopian Women published by Tsehai last year. New York (TADIAS) — Continuing their East Coast ‘Experience TSEHAI’ presentation series, California-based Tsehai Publishers and Loyola Marymount University announced they will be hosting a book talk and signing at the Library of Congress in Washington, D.C. this weekend. Tsehai Publishers is one of the only remaining independent presses affiliated with a university that focuses on African literature and Pan-African voices. 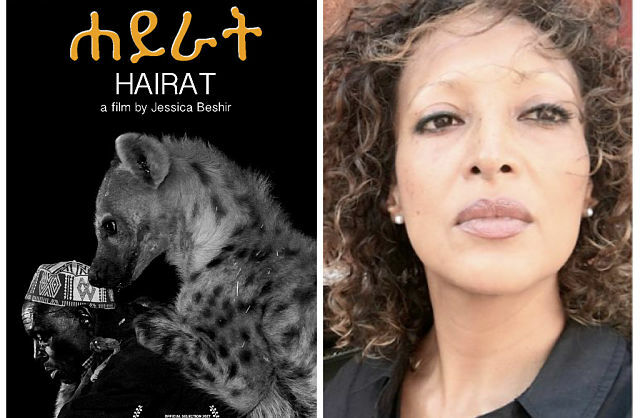 The program at the Library of Congress on Saturday, June 25th also includes a book talk by Editor Mary-Jane Wagle featuring Temsalet: Phenomenal Ethiopian Women published by Tsehai in 2015 and a presentation by Founder of Tsehai Publishers Elias Wondimu. 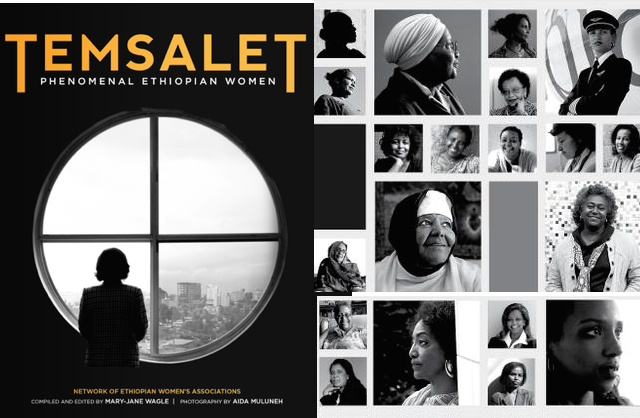 The book Temsalet highlights 64 remarkable Ethiopian women photographed by award-winning Ethiopian photographer Aida Muluneh including Amsale Gualu, the first female captain at Ethiopian Airlines; Meaza Ashenafi Mengistu, Founder of Enat Bank and prominent lawyer who was depicted in the award-winning film Difret; Marta Mesele Woldemariam, Ethiopia’s first female construction tower crane operator; Meshu Baburi Dekebo, women’s activist and founder of the Jalala Women’s Association; actress and playwright Alemtsehay Wedajo; children’s television program creator and producer Bruktawit Tigabu Tadesse; and art curator and cultural activist Meskerem Asegued Bantiwalu. New York (TADIAS) — Call of Ethiopia — a poem by the distinguished African American writer Langston Hughes — was read by Elias Wondimu during his presentation of Tsehai Publishers on Saturday, April 16th in the lobby of the Schomburg Center in Harlem dedicated to the poet. Tsehai Publishers is one of the only remaining independent presses affiliated with a university that focuses on African literature and Pan-African voices. Saturday night’s program also included a book talk by Editor Mary-Jane Wagle featuring Temsalet: Phenomenal Ethiopian Women published by Tsehai in 2015. During her presentation Mary-Jane Wagle highlighted some of the 64 remarkable Ethiopian women photographed by award-winning Ethiopian photographer Aida Muluneh and featured in the book including Amsale Gualu, the first female captain at Ethiopian Airlines; lawyer and women’s bank founder Meaza Ashenafi Mengistu (who was also the attorney and real-life inspiration for the award-winning film Difret); Ethiopia’s first female construction tower crane operator, Marta Mesele Woldemariam; women’s activist and founder of the Jalala Women’s Association, Meshu Baburi Dekebo; actress and playwright Alemtsehay Wedajo; children’s television program creator and producer Bruktawit Tigabu Tadesse; and art curator and cultural activist Meskerem Asegued Bantiwalu. The presentations by Elias Wondimu and Mary-Jane Wagle were followed by a book signing session. 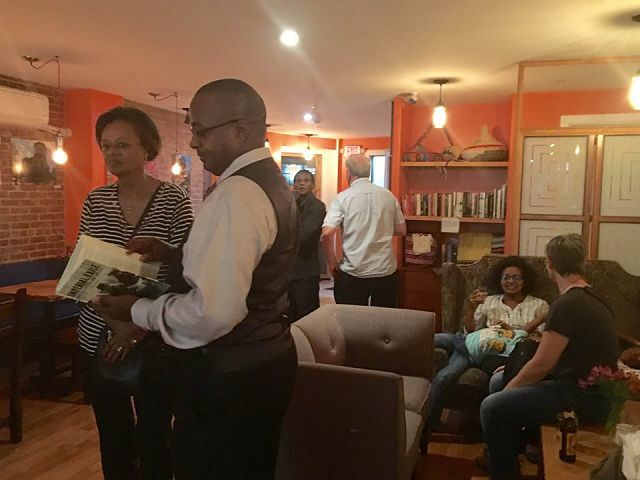 Guests enjoyed Ethiopian food and coffee catered by Bunna Cafe as well as Sheba Tej and wines from Ethiopia, Chile, and South Africa served by Tsion Cafe. This event was part of the Tadias Salon Series and co-hosted by Tadias Magazine, Tsehai Publishers and Loyola Marymount University. 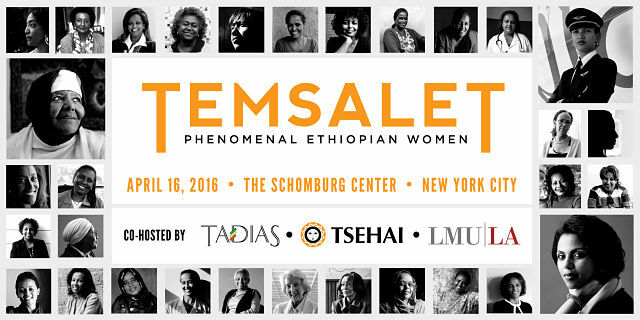 New York (TADIAS) — Join us on Saturday, April 16th for the New York book launch & presentation featuring Temsalet – a photographic portrait of sixty-four phenomenal contemporary Ethiopian women who have broken through age-old barriers to advance in their fields. Temsalet‘s editor, Mary-Jane Wagle, will be present to give a book talk followed by a book-signing, and Elias Wondimu will present Tsehai Publishers — one of the only remaining independent academic presses in the United States dedicated to African literature and Pan-African voices. 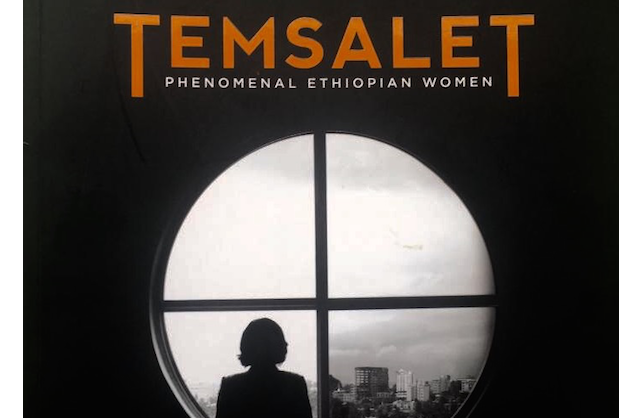 Edited and compiled by Mary-Jane Wagle with photography by Aida Muluneh, Temsalet is a project of the Network of Ethiopian Women’s Association and is published by Tsehai Publishers of Los Angeles, California. This event is brought to you as part of the Tadias Salon Series and co-hosted by Tadias Magazine, Tsehai Publishers and Loyola Marymount University. “When you think of Africa, what are the first three things that come to mind?” This is the first question I was asked when I began working at Tsehai Publishers at the beginning of the semester. Like I’m sure most of us would, I had trouble coming up with a sufficient answer to the question. It is for precisely this reason that Elias Wondimu, exiled Ethiopian journalist and current CEO of Tsehai Publishers, founded the company. Finding few books on Ethiopia in the United States, Wondimu sought to fill a hole in the American book market by venturing into previously unchartered waters and creating his own publishing company that would simultaneously print scarcely distributed books and raise the standard of integrity in the publishing industry. “The lack of positive narratives about my country led me to a path of discovery about the realities of all marginalized societies – including Africa, women and the poor among us. Institutions who control what stories get told controls our true information that we consume, our perceptions and by that our future society,” Wandimu said when discussing his motivation for launching Tsehai. Tsehai means “the sun” in Amharic, Ethiopia’s official language, but Wondimu also named the publishing company after his late mother. The company was founded in 1998 with the intention of sharing his passion for Ethiopian and African issues, correcting media misinformation and bias about Africa, fostering intercultural dialogue and social justice and providing a platform for African creativity and knowledge to flourish. In 2007, Tsehai joined forces with LMU’s Marymount Institute for Faith, Culture and the Arts and from that partnership the Marymount Institute Press was born, embodying the Institute’s mission statement. New York (TADIAS)– Selected speeches delivered in Addis Ababa, Ethiopia in 1963 at the inaugural meeting of the Organization of African Unity (OAU), along with beautifully illustrated portraits, biographies, and other facts about member countries are all part of an upcoming book by Tsehai Publishers entitled Uniting A Continent. 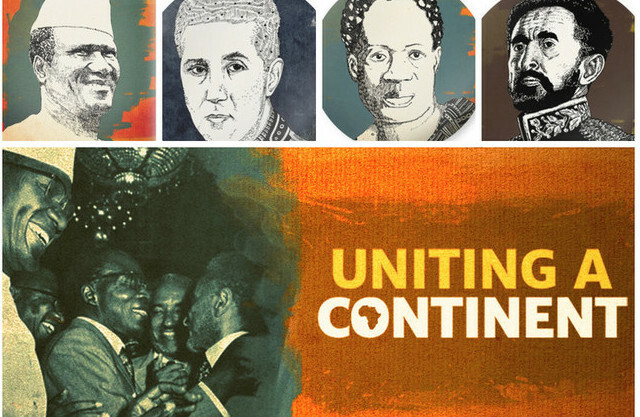 “This book is the first of its kind, as it showcases the founding of the OAU and exemplifies the rich and unique cultural heritage of each African nation,” the publisher announced via Indiegogo, an online crowdfunding platform, where a campaign has been launched to fund limited print editions. Tsehai Publishers also announced that the book includes rare photographic highlights of Secretary Generals as well as an overview of OAU’s history featuring its formation and the challenges and successes in the last fifty years. You can learn more and support Tsehai Publishers at www.indiegogo.com. New York (TADIAS) – In sixth century Ireland, a king was asked to adjudicate one of the world’s earliest legal cases concerning book piracy. A monk named St. Columba had admitted copying by hand, apparently without permission, a manuscript that belonged to another writer. The original author accused St. Columba of theft and illegal copying, arguing that the book was his brainchild. In his famous ruling against the pirate-monk, the king pronounced: “To every cow belongs her calf, to every book belongs its copy.” In other words, only the publisher has the legal right to control its intellectual property. This brings us to the modern day piracy of Mengistu Hailemariam’s memoir that was recently scanned and distributed without authorization from the book’s copyright holder Tsehai Publishers. Unlike St. Columba, however, the responsibile party in the Mengistu case remains, at least for now, faceless behind the computer screen, and communicates only via a website based in Europe. The copyright infringers claim justification under the “Son of Sam Law,” an American law designed to prevent criminals from profiting from the publicity of their crimes. We recently spoke to Elias Wondimu, Publisher & Editorial Director of Tsehai Publishers about the controversy. TADIAS: Thank you Elias for your time. Please tell us about the recent unauthorized distribution of Tsehai Publishers’ Mengistu Hailemariam’s memoir. What exactly happened? Elias Wondimu: On Jan. 14th, Debteraw, an EPRP affiliated website based in the UK along with Finot Radio, scanned the book and distributed it for free on the Internet. The group explicitly stated that their actions were in protest of Col. Mengistu Hailemariam’s book. This was done maliciously, attempting to punish the publisher for daring to produce the book. They also hoped to discourage us from publishing future books by Col. Mengistu or similar authors that they don’t agree with. In “About us” section of their website, it states that they are “campaigning” for “free and independent media.” But, their recent actions have shown the hypocrisy of their claims. By trying to silence me as a publisher, they violated all notions of freedom of press and freedom of expression. Apparently, for this sect of the EPRP, “free and independent media” refers only to publications that align with their own views. TADIAS: Where were you when you first learned of this? How did you feel? EW: When I first heard the news, I was in my office working on our next book, a memoir by Rita and Richard Pankhurst, which was to be released next month. Since we’re in the final stages of editing, I was working late on a Friday night. At 9:00pm I received a phone call from a friend. He asked me in a distressed voice if I knew what had happened. When I said that I didn’t, he directed me to the website, where I saw the article. I clicked on the link and saw the entire book I had worked so hard on download onto my computer. At first I thought it was just a prank or some sort of a bad joke and didn’t take it seriously. I couldn’t even fathom something like that being done. The first thing I did was to see if there was any altered content in the scanned file. I noticed that, while it contained all the front matter such as the contents, copyright page, and publisher’s note, I noticed that six pages at the end had been removed. These pages contained our best books that we thought that our readers should know and other upcoming Tsehai Publishers books. Even now, I am still puzzled why they did this. Thinking they will take it down when they realized what they have done, so I didn’t do anything. But, when Monday came around I realized the gravity of the situation, and that I would have to take legal action. There are no words to describe the frustration I felt. After working so hard and devoting my life to the cause of freedom of press in Ethiopia and around the world, I could not imagine that something so devastating could happen. But, although I was discouraged and angry, I knew that I had to keep fighting for what I believed in. TADIAS: Please tell us more about the book. How did you obtain the content? EW: It has now been almost seven years since I was introduced to Col. Mengistu. Since I received the first manuscript, my staff and I have worked tirelessly to bring the book to press, preserving the highest quality of publication that is accustomed with Tsehai. As I wrote in the Publisher’s Note, this book is the first time in our long history that an Ethiopian leader has written a book, sharing his experiences after leaving office. Even though Emperor Haile Selassie was the first to write a two-volume political memoir while in power, throughout Ethiopian history, none of our leaders lived longer to tell us their experiences and challenges while ruling the country. However, we have had many chronicles, most of these were written much later on by people who had a political bias either for or against them. This book gives us an unparalleled window into how the government was run. It also presents some of the major issues in our history, such as how the Derg was formed, and how some of the major governmental decisions were made, how the Somali war was started, and Ethiopia’s victory came about. Despite what others or even I might think about Col. Mengistu himself, I am proud to give the first unadulterated first-hand account from an Ethiopian leader. The publication of this book is a historical moment, and I wholeheartedly stand behind its publication. TADIAS: Debteraw.com has issued the following comments in justifying their actions: “Mass murderer and brutal dictator Mengsitu Haile Mariam (exiled in Harare, Zimbabwe) has written a 500+ pages book that has been published by Tsehai Publisher[s] of Los Angeles. This mass murderer has not yet atoned or paid for his horrendous crimes and the mass killings of the Red Terror. He now hopes to benefit from the sale of his book of lies. We strongly feel that this criminal should be tried before a court of law and should be hindered from benefiting from his crime. Thus, we have published the book in PDF and we are posting it for free usage of all interested readers.” They also say that they are legally justified. What is your response and what steps are you currently taking to halt the piracy? EW: Professional publishers publish books coming from various political and ideological quarters and by people who have been involved in all kinds of activities. This does not mean publishers agree with the contents of the book they publish. Publishers are not politicians or judges. They are not agents of censorship. They believe in freedom of expression, in the intelligence of the reading public, its capacity to separate the wheat from the chaff and to make informed judgments. This is precisely the perspective of Tsehai publishers also. The claim “that they are legally justified” is a false one. There is no law that permits the violation of copyright laws. In fact, what they did is nothing less than a blatant violation of internationally accepted copyright laws. Currently, we have retained a law firm known for its intellectual property law, including copyright and book publishing works. Our attorney, Steven Rohde, is the Past President of the Beverly Hills Bar Association, President of the American Civil Liberties Union of Southern California, and vice president of PEN USA. Among many accomplishments, representing a different client a few years ago, Mr. Rohde personally took the California Son of Sam Law to the California Supreme Court and the law was struck down as a violation of the First Amendment protection for free speech and free press. So, Debteraw and its associates have seriously misunderstood the nature of the Son of Sam Laws and their legal status. TADIAS: We also understand that this is Tsehai Publishers’ 10th year anniversary. Congratulations. Do you have any plans for the anniversary? Thank you! Even though Tsehai was started couple of years earlier, it was ten years ago this time that I dedicated my full time attention into it. So we are very excited to celebrate a decade at Tsehai. To celebrate the anniversary, we decided last year to publish a book every month in 2012. Because of the recent events, we were forced to postpone the publication of our first book this month. But we are determined not to let the unfortunate circumstances hold us back any more than this. We plan to get back on track and plan to release a book every month from February on. We are also planning to host public events in selected cities in the coming months. If your readers would like to be informed or to get involved, we highly encourage them to visit and Like us at our Facebook page. TADIAS: Please tell us briefly about Tsehai Publishers’ inception and key works in the past ten years. Living in Los Angles in the mid 1990s, I noticed a major void in the publishing field on the subject of Ethiopia. Hardly any literature was available on Ethiopia, and what was there was seriously incomplete and flawed. I was tired of waiting for change to happen, and decided to take matters into my own hands. I founded Tsehai in 1997 with just this aim. Tsehai was named after and dedicated to my mother who had passed away the same year. In 2001, I left a job at UCLA and began running Tsehai full time. Since then Tsehai has published over 60 books, started three academic journals, and founded three imprints—African Academic Press, Marymount Institute Press and Chereka Books. Over the years we have published many books that I am very proud of, one of which is The Conquest of Abyssinia. In the current religious and social climate in the world, Ethiopia is at the crossroad of fundamentalism, and has experienced it all. This book gives the first hand account of what happened during the tumultuous religious conflict in Ethiopia. Another notable book is Ethiopia and Eritrea, which was published originally in 1952. The book documents the struggle between the Unionists and Separatists in Eritrea. Currently, situations in Eritrea are not going well. Although the areas are separated politically, people are beginning to understand that they need a common ground. Because of the Separatists hold a monopoly over the literature available, the young Eritreans are not able to access information about their grandfather’s struggle to reunite with Ethiopia. This book is our contribution to the people of Eritrea, giving them back a piece of their lost history. Finally, our book The Evolution of the Ethiopian Jews addresses the ever-increasing number of Ethiopian Jews that now live in Israel. The book documents their incredibly complex history, from a captivating Ethiopian perspective. Similarly, all our books are selected and published to address issues that are affect our understanding and engagements among ourselves today. TADIAS: What about the various journals you have started. What inspired them? EW: Early in 2000, I was working at UCLA for Azlan a journal of Chicano Studies. The journal had been founded 30 years ago by Chicano students who were looked down on because of their Mexican heritage. These students realized that if there was to be any hope for their own academic future and next generations, they would need a forum for Chicanos to publish, which was non-existent at the time. The journal is now a major international academic platform and most scholars who published in it are leading figures in the field internationally. This story inspired me to do the same for Ethiopian Studies, which was just as lacking on the market. Except the one at Institute of Ethiopian Studies at Addis Ababa University, all the scholarship on Ethiopia was produced by European and American institutions. This was the impetus to begin the academic journals at Tsehai. Our first journal was the International Journal of Ethiopian Studies (IJES), which is now currently available on JSTOR. IJES was the first academic journal to be started by an Ethiopian institution outside of Ethiopia. With the help of leading scholars in the field, we created a nurturing environment where academicians could publish scholarly theoretical and empirical papers and their research findings on Ethiopian social, political, economic, cultural and historical issues. Our second journal is the Ethiopian Journal of Religious Studies (EJRS), which tackles the complex religious climate of the Horn of Africa. Ethiopia is the home of the major religions in the world, but there was previously no forum where we can study or document its development. EJRS is the first religious Ethiopian journal, and is breaking new ground on this fascinating subject. 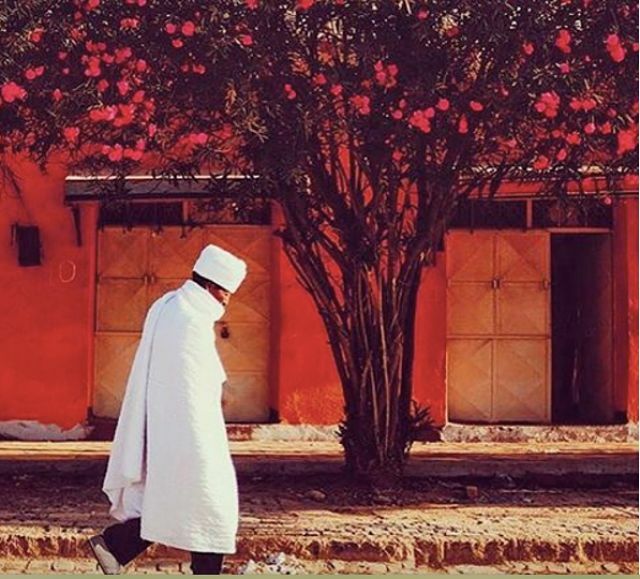 Our most recent journal is Ethiorica, which combines the words “Ethiopia” and “America” or “Africa.” Although Ethiopia has a very long and rich literary culture, there is currently no platform for burgeoning writers to show their talent. Because of this, there is no stimulating forum for inspiring and promoting Ethiopian literature, particularly among the youth. Ethiorica was our way of addressing this issue. The journal gives a platform for the best new writers to showcase their writing. 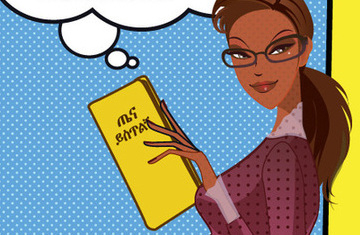 TADIAS: We know that you are also in the process of launching a children book series, tell us about it? EW: We created an imprint called Chereka Books and it is dedicated to bringing accessible, joyful, and child-friendly illustrated books to children and young readers. These books are intended to entertain, inspire, and educate the children their culture and history. Currently, we have about twenty books in different stages of development and we will announce the details soon. In the mean time, you can be sure that the stories, illustration and production of the books will be as good or better than the many books that we have produced in the past. EW: I was born and raised in Addis Ababa. Although I had originally planned to pursue a career in medicine, I gave up that path and resolved to become a journalist. I believed that this would enable me to make the greatest difference for my country and in the world. In September 1994, I left Addis to participate in the Twelfth International Ethiopian Studies conference at Michigan State University in East Lansing. But, my three-week travel plans became indefinite when the government clamped down on the press. Later that year, I joined the Ethiopian Review magazine in Los Angeles, serving as its editorial staff for the next six years. In these years, I got to work with many scholars, political activists and public intellectuals on issues of local and global interest. As a journalist, I had fought for freedom of press and expression, and these experiences made me realize that I wanted to continue this through publishing. I cared deeply about Ethiopia, and wanted to make my contribution by publishing and distributing works of scholarship on Ethiopia by Ethiopians and non-Ethiopians throughout the world. After founding Tsehai, I realized how very rewarding the experience could be, and devoted myself fully to it. Today, with our three imprints, we publish a diverse list of books and journals, and we endeavor to encourage the acquisition of knowledge, and to bring quality and diversity to the publishing industry for many generations to come. TADIAS: Is there anything else you would like to share with our readers that we have not asked you about? EW: I would like to remind your readers of one fundamental issue. Circumstances in Ethiopia and elsewhere show how precious freedom of expression is. Without freedom of expression, there is no progress, no development, no democracy, and no vibrant culture. Ethiopia has lost many of her brilliant children because they stood up to defend freedom of expression. According to my humble opinion, it is our duty to struggle for freedom, equality, and justice to defend the freedom of expression of all Ethiopians, at home and in the Diaspora. Last but not least, I would like to use this opportunity to say thank you to the many who came out in our support, donated money, purchased books, called and emailed to show their solidarity. We are also grateful to the wonderful editors, authors, staff and interns who work so hard to contribute knowledge that heals our wounded souls. You all are our heroes, so thank you! May 31, 2009 @ Messob Restaurant in L.A.’s Little Ethiopia. 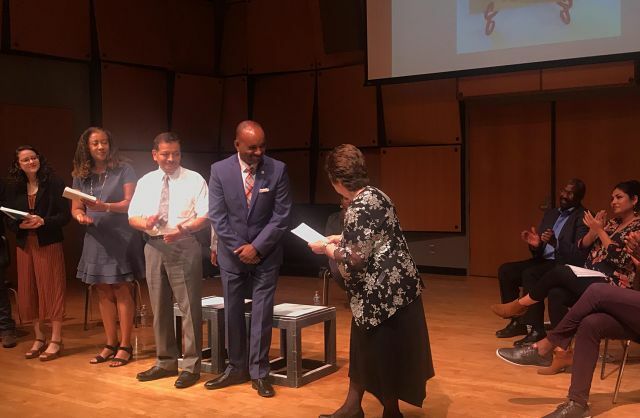 New York (Tadias) – An intergenerational poetry reading and panel discussion examining four decades of Ethiopian immigrant’s life in the U.S was held this past weekend in Los Angeles. 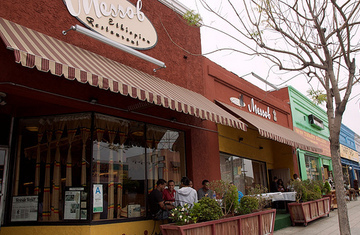 The Tsehai Poetry Jam, which was presented in cooperation with PEN USA, the Ethiopian Heritage Foundation and Tsehai Publishers, was held at Messob Restaurant & Lounge, located in the official neighborhood of Little Ethiopia on Fairfax Avenue. A similar event in Chicago is scheduled for early July in conjunction with the The Fourth Annual Tsehai conference. 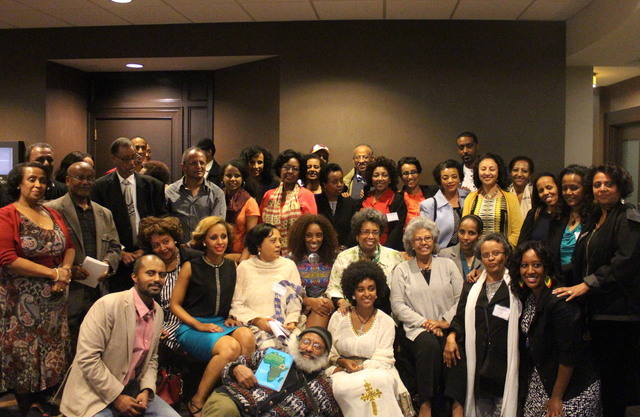 Below are photo highlights from the L.A. event courtesy of Tsehai Publishers. 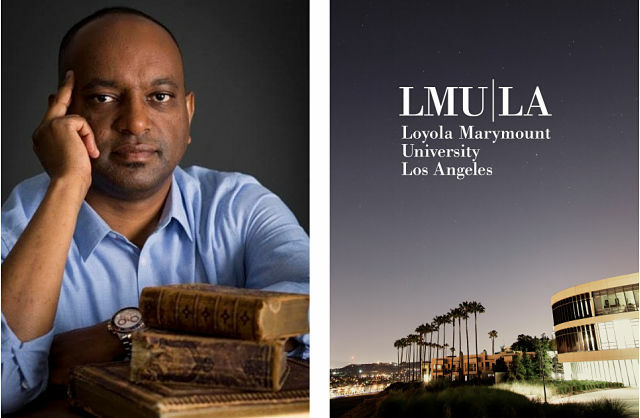 Elias, who is Founding Director of TSEHAI Publishers at the Marymount Institute for Faith, Culture, and the Arts at LMU, is one of five honorees chosen from the nominated faculty, staff, alumni, and students from Loyola Marymount University and Loyola Law School. 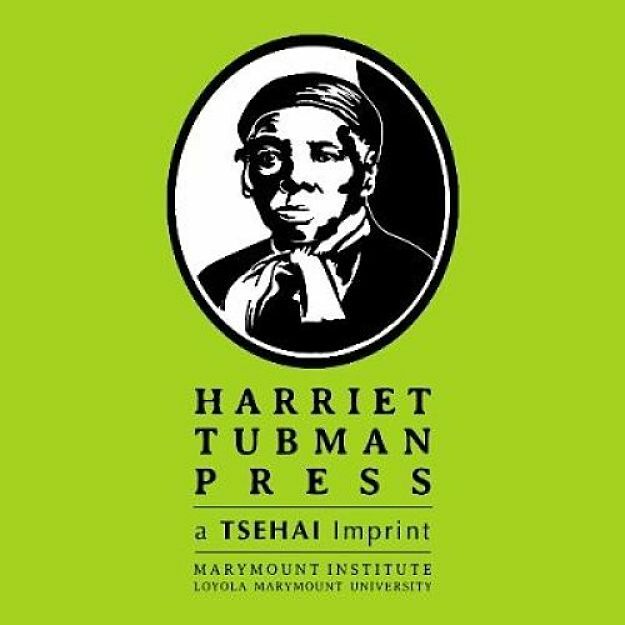 Tsehai Publishers celebrated its 20th anniversary last October alongside the launch of its first book under its new imprint, Harriet Tubman Press, entitled Voices from Leimert Park Redux. 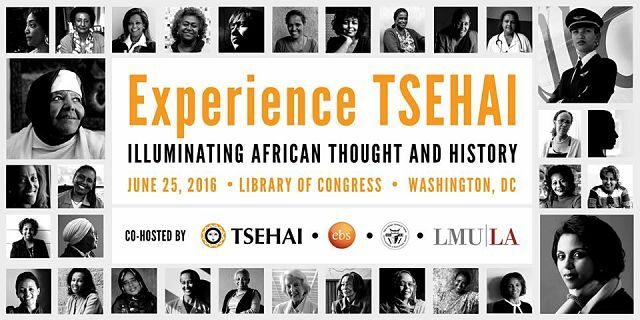 Tsehai Publishers is the only African/African-American owned press that is housed in a U.S. university (Howard University Press closed in 2011). 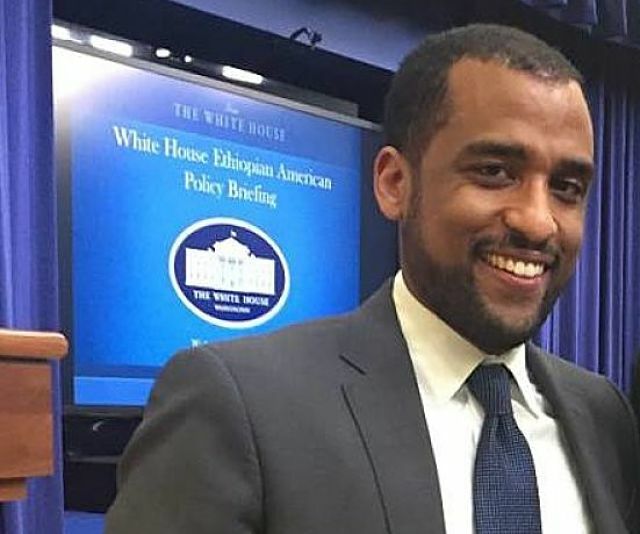 Elias told Tadias that he is on his way back to the U.S. from Ethiopia to accept the award after having recently returned in September to his homeland for the first time in almost 25 years following Prime Minister Abiy Ahmed’s invitation to exiled Ethiopians to come home. 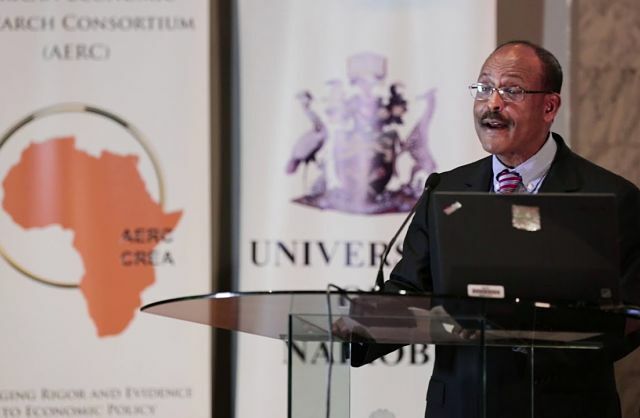 Elias is currently a member of the Advisory Council of the recently launched Ethiopian Diaspora Trust Fund. To RSVP click here. This event is free and open to the public. New York (TADIAS) — Earlier this week at Tsion Cafe in Harlem former BBC executive producer Keith Bowers held a book talk and signing featuring his new book Imperial Exile, which has just been published in the United States by Tsehai Publishers, highlighting Emperor Haile Selassie’s refugee years in Bath, England from 1936 to 1940. 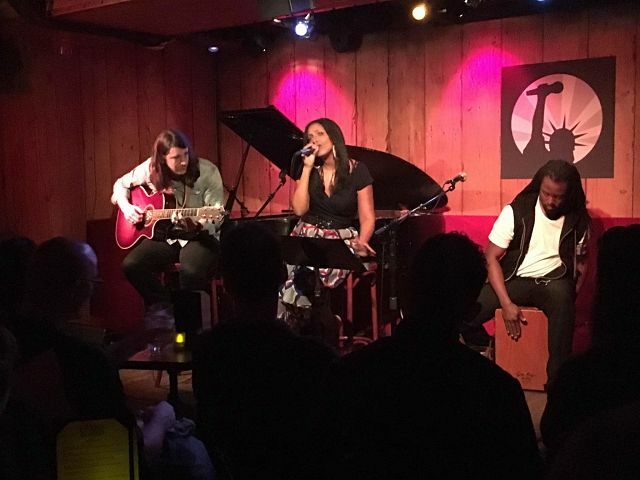 Last week the Grammy-nominated Ethiopian American singer and songwriter Wayna was back in New York City where she gave another memorable performance at Rockwood Music Hall as part of a special live showcase of “An Acoustic Gold Evening” presented by NYCROPHONE. 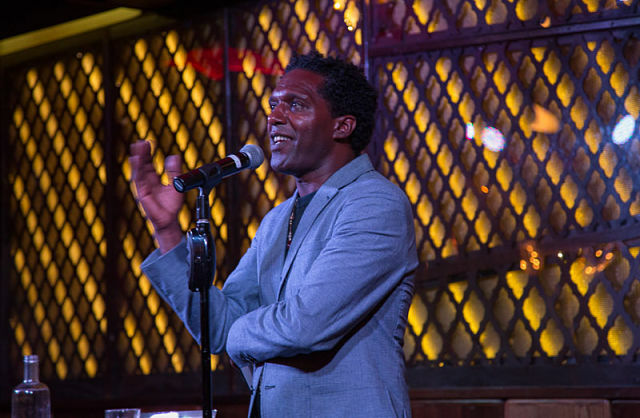 New York (TADIAS) — Our latest Tadias Salon Series, held in NYC on Tuesday, August 9th, featured a sold-out live show with renowned British-born Ethiopian poet and author Lemn Sissay at Marcus Samuelsson’s Ginny’s Supper Club/Red Rooster Harlem. The dinner and entertainment program included a musical performance by Grammy-nominated Ethiopian American singer and songwriter Wayna as well as an eclectic collection of Ethiopian music by DJ Mengie. Special thanks goes to our sponsors Nation to Nation Networking (NNN) and ECMAA, as well as our partners Ginny’s Supper Club, Ms. Ethiopia Alfred and Massinko Entertainment. The women featured in the book range in age from their 20s to 90s, and include many firsts in their professions including the first female captain at Ethiopian Airlines, the country’s first female neurologist, first female professor with full rank, first female Olympic marathon gold medalist, first Ethiopian woman to have a solo art exhibition, and Ethiopia’s first female construction crane operator. 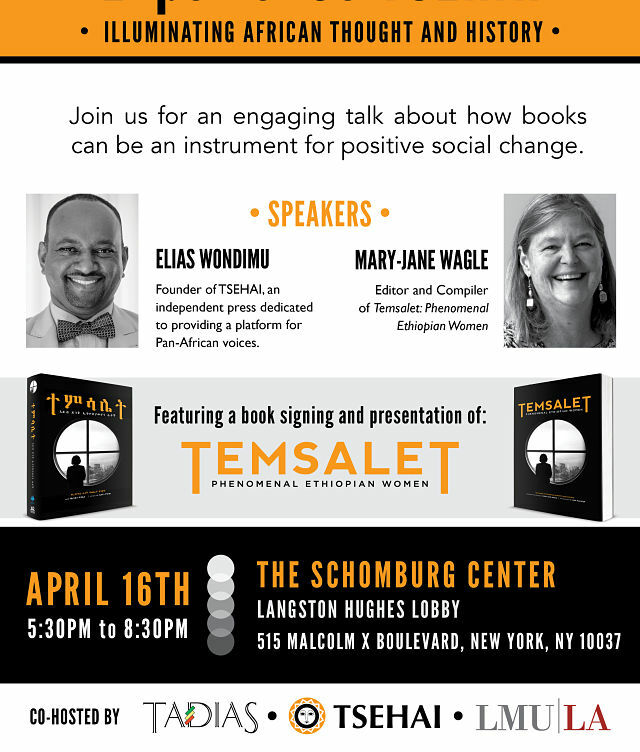 Join us on Saturday, April 16th for the New York book launch & presentation featuring Temsalet. The editor, Mary-Jane Wagle, will be present to give a book talk followed by a book-signing, and Elias Wondimu will present Tsehai Publishers — one of the only remaining independent academic presses in the United States dedicated to African literature and Pan-African voices. Tickets: $17 online, $20 at the door. Kids free. New York (TADIAS) — Professor Donald N. Levine, who passed away on Saturday, April 4th at the age of 83, is being remembered by his friends in Ethiopia and the Diaspora as a beloved Ethiopianist, educator, sociological theorist, author, collaborator, advocate, mentor, sensei and friend. Below are reflections and photos sent to us from Don Levine’s friends and colleagues in the U.S. and Ethiopia. Feel free to send us your own reflections at staff@tadias.com. We’ll keep this page updated. I’ve known Don’s work for many years and had the pleasure of meeting him 15 years ago when he was in the Bay Area for a meeting. We kept in touch since then and got to hang out again in 2003 when he came back to California to visit an Ethiopian that was imprisoned. Afterwards we went to Yoga Mandala in Berkeley for their 1st anniversary yoga session which was my first ever yoga class!! After that day I was a regular student at that studio till I left the Bay Area and have been hooked on yoga ever since! Thank you Don!!!! Fast forward a few years and I was living in Addis for a couple of years and had the honor to help Don with administrative staff – organizing meetings, meet and greet events etc. when he came to Ethiopia in Jan 2008, to meet with human rights activists & leaders as well as recently released journalists. I also had the privilege to organize a meeting for him with Gash Mesfin (Prof. Mesfin), who had also been recently released from prison. It was an awesome opportunity for me to sit amongst these two giants and listen-in to their conversation, debate and old stories. I have driven with Gash Liben to Awasa to check out AYC’s overall progress as well as the setup of the dojo and saw him in action in his beloved Aikido. It was a pleasure to be around Don and to see him interact with ease with the young, not so young, important officials/diplomats and not so important people attentively and with respect! Interestingly I found out that my Dad was an undergrad student at AAU when Don first came to Ethiopia and was one of the people that taught him Amharic. I’m glad they got to hang out after so many years in Chicago when my Dad was visiting, and again in Addis when Don visited last. Don is a true sensei in the whole sense of the word!! I am blessed to have known Dr. Don N. Levine. The God that created heaven and earth is pleased in this Easter day, to receive his servant and our friend into his kingdom. May his writing and teaching touch many lives forever and ever. He has willingly accepted and loved being Ethiopian. He dedicated 55 years of his life studying, writing, teaching, advocating and praying for Ethiopia and Ethiopians. He encouraged all of us to dig deeper into the spirit of Menze and Shoa. He also showed us to live our lives with abundance. He reminded me that Queen of Sheba took gold and incense when she visited King Solomon in Jerusalem. He motivated us to develop our skill of negotiation that our ancestors had once mastered. He showed us how to express what we want with class and dignity using what our ancestors called Wax and Gold. He wanted to show Ethiopians not to be ashamed of our history and heritage. For that alone I am eternally grateful. Gashe Liben, as he is called by his Ethiopian name, We will continue your work and be true to ourselves. May you rest in peace. I was blessed enough to work with Gash Liben on several initiatives. To mention a few, he was an editorial advisor and author of TSEHAI Publishers, editorial board member and regular contributor of the International Journal of Ethiopian Studies, and a founding board member and senior scholar of the Ethiopian Institute for Nonviolence Education and Peace Studies, but most of all he was one of the few people who took time to answer any questions that I may have. 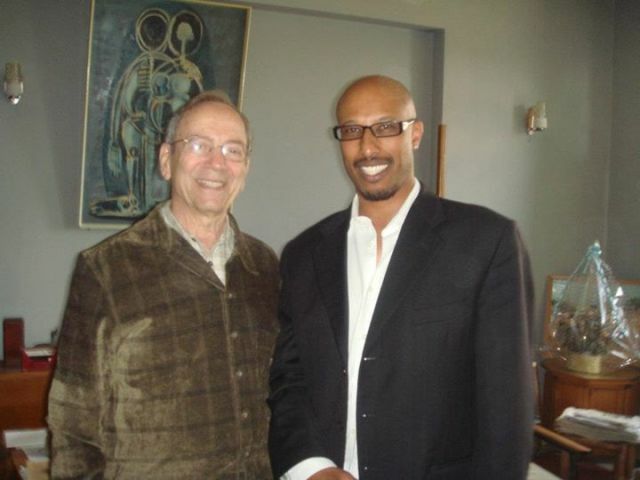 For me, I lost a mentor, a major supporter, and a collaborator on all of my projects, and an author extraordinaire that I had the privilege of publishing his very last book (Interpreting Ethiopia) among other writings and his classic book: Wax and Gold. The reaction of our people from across international borders is not due to one or few of his successful writings, but it is due to his life-long engagement with Ethiopia and his advocacy to her citizens’ dignity wherever they might be. What we lost today is not only an acclaimed scholar, but a dear friend of our people and a citizen of the world who cares deeply for its future. It was June 2004 and the Honorary Doctorate recipients for the 2004 Addis Ababa University Commencement were assembled in the Office of the University’s President prior to our march to Genet Hall of the Sidist Kilo Campus where the Commencement ceremony took place. Among the recipients were Professor Donald Levine, the Late Professor Ali Mazrui and Professor Ephrem Isaac. I accompanied Professor Ali Mazrui to the event from the US. As we passed the Ras Mekonen Hall, Professor Levine looked up the door of the Hall and excitedly pointed the motto of the University posted at the top. He asked us if we know the meaning of the motto written in Ge’ez. “Kulu Amekeru Wezesenaye Atsneu,” Professor Levine read the motto loud. He then quickly shared with us the meaning as if to free us from the instant question he posed to us. The motto, which translates to “Test everything that is said. Hold on to what is good,” was known to Professor Levine since his time as a Professor in the then Haile Selassie I University over fifty years ago. The motto became part of our conversation as we marched to Genet Hall. This anecdote typifies the nature and personality of Professor Levine and his extraordinary immersion into Ethiopian history, culture and society. Professor Levine has always maintained an insider view, that is, he studied the language, assumed the position of being empathic with the culture and looked at the history and culture of the people Ethiopia from the inside out. Professor Levine was so intimate with the field of Ethiopian Studies that he was able to produce, as most agree, two outstanding and classical books on aspects of Ethiopian culture and society: Wax and Gold: Tradition and Innovation in Ethiopian Culture (1967) and Greater Ethiopia: The Evolution of Multiethnic Society (1974). While Wax and Gold demonstrates the extent and depth of Professor Levine’s understanding of the nuances and complexities in Amharic language and the people who speak it, Greater Ethiopia expanded his scholarly reach within Ethiopian Studies and he ably argued in favor of Ethiopian multiethnic identity. These two books are by far widely quoted and referenced works in the field of Ethiopian Studies. Of course, Professor Levine wrote 5 books and a hundred journal articles. He successfully conducted scholarly works in Social Theory, Ethiopian Studies and the Martial Arts. Professor Levine to many Ethiopians at home and abroad is known as Gashe Liben. This is an earned name. He earned the most gracious and affectionate title as a result of his remarkable accessibility to Ethiopians and their organizations, be it in social, cultural, educational and political settings. Gashe Liben prefaced many books authored by Ethiopian or Ethiopianist scholars. 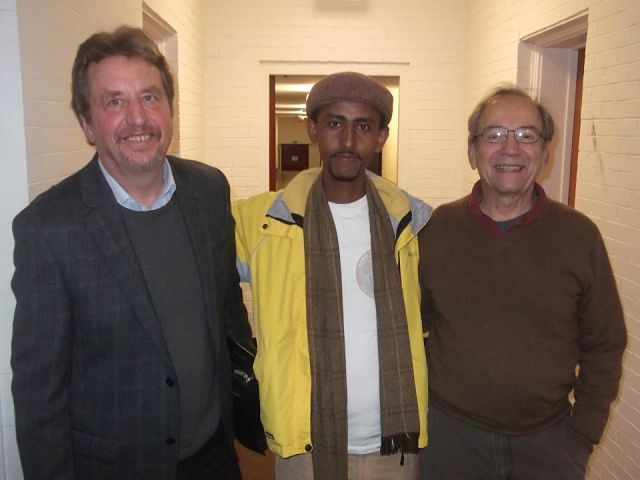 He contributed a great deal of articles for various journals in Ethiopian Studies. He organized international conferences and gave many media interviews. Gashe Liben helped several Ethiopians with their immigration cases. More importantly, he always offered his advice, critical but balanced, with regard to current issues of Ethiopia. He always cautioned fellow Ethiopians to seize the moment and get engaged with the modernization of Ethiopia informed by tradition. He urged us to stop missing opportunities. To me, Professor Levine’s seminal contribution in the field of Ethiopian Studies was his definition and articulation of what he calls the Ethiopian national epic. The professor argued that Kebre Negest is a national epic or mythology. A people with national epic, according to him, are a people with deep-rooted identity. A people confident of their identity are capable and willing to defend it. True, the mythology has to be expanded and should include the multiple mythologies of our people. But as a tribute to Professor Levine, we should all agree that our multiethnic identity is founded on a great epic of a great people. We are very sad to lose such a loving and intelligent man. His name and work always remains in our organization’s history. He is our founder; he will always be respected and loved for what he did for our community. May his soul rest in peace. Long Live the Girls is a girls’ empowerment program through creative writing initiative founded in 2012 through a partnership between Action for Youth & Community Change & Break Arts: International Arts & Education Collaborative. Using creative writing to spark the imagination and see the world as if it could be otherwise, our model for engagement is unique — we create safe spaces for girls and women to speak and write with freedom, often using both political and poetic documents as the springboard for conversation, writing & performance. 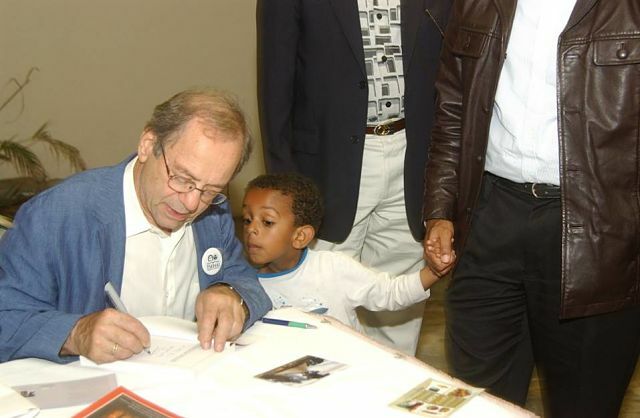 Ethiopia lost a stalwart friend, scholar and benefactor of the common good with the death of Professor Donald Levine this week in Chicago. His books about Ethiopia, especially Wax and Gold and Greater Ethiopia, are classical studies of the society, history, and culture of the Land of Prester John that so fascinated him. His many articles and public addresses about Ethiopia and the Horn of Africa leave a profound legacy for Ethiopians to ponder in the years to come. His thoughts about Ethiopia and prescriptions for its future were informed by his life as superbly trained American academic and public intellectual. Don came to Chicago fresh out of high school and took advantage of the University of Chicago’s accelerated degree program begun during the university’s presidency of Robert Hutchins. In a seven year span from 1950 through 1957, he completed his B.A., M.A., and Ph.D. degrees in Sociology and went to Ethiopia to undertake field work. He resided in a rural Manz, an Amhara area and learned firsthand about the people and their ways. He studied Amharic and could converse with the subjects of his research. He then became a professor at Haile Selassie I University where he was teaching during the attempted coup in 1960. 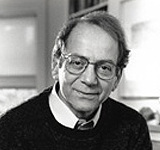 Levine joined the faculty at his alma mater, the University of Chicago, in 1962 and rose through the academic ranks to become Professor of Sociology and holder of the endowed Peter B. Ritzma chair. He also served as Dean of the College in the 1980s. Levine’s teaching, speaking, and writing about Ethiopia reflected his grounding in the Chicago method of higher education characterized by independent thought and criticism that is created in the interest of the progress of society. In his continuing dialogue with and about Ethiopia, Don was open-minded and welcomed different points of view. In the process of doing this, he extended the bounds of understanding and wisdom about that ancient land. He epitomized the great professor of cultural studies: one who lived and worked among the people, took part in their festivals and celebrations, learned the language, and studied the literature and great books of their tradition. This “Dean of Ethiopianists” as I fondly called him, set a high bar for those who aspire to study and understand Ethiopia. I met Don for the first time when we served as international election observers in Addis Ababa during the 1992 general elections. As a two-man team, among other things, we visited several precincts and noted some concerns about electoral activities that were included in the African-American Institute’s An Evaluation of the June 21, 1992 Elections in Ethiopia. We subsequently met in Ethiopian-related meetings all over the world, and he was a pleasure to be with. His devotion to searching for the truth about Ethiopia was inspirational. He will be missed. Don Levine will be genuinely missed. He had a profound influence on Ethiopian studies. As his grad student, mention of his name open doors for me in Ethiopia even in the dark days of the Derg in the mid 1980s. Deans and/or Vice Ministers may not have always agreed with Don’s “greater Ethiopia” thesis, but they knew it and respected the deep sociological analysis that was at its core. He was the father of American Ethiopianists. His rapacious appetite for all things involving Ethiopia meant that he served on dissertation committees of sociologists (of course), anthropologists, religious scholars, historians (including myself), linguists, political scientists and probably in a number of other disciplines both here and in Great Britain. To a degree he defined the Ethiopian character in the waining years of the Imperial era, and his “wax & gold” dichotomy ensured that all subsequent scholars had to reckon with Ethiopians as complex, conniving, compassionate peasants and peers alike. Perhaps Don’s most enduring contribution was his deep understanding of social mobility up and down Ethiopia’s feudal ladder. 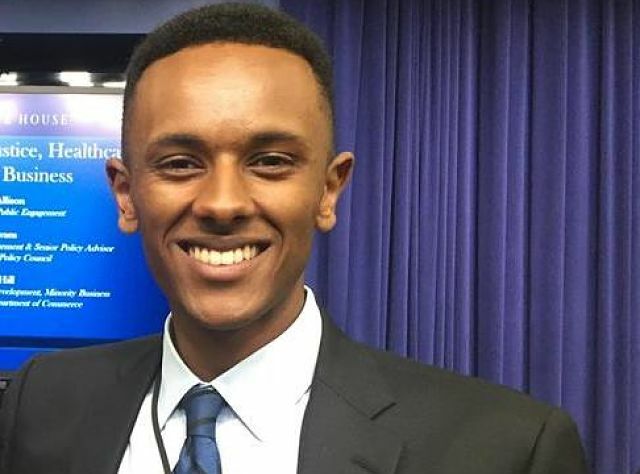 This made writing a dissertation that would pass his inspection a difficult task, for the normal tropes like social classes had to bend and mend themselves to the realities of Ethiopia’s multiple paths to upward and, simultaneous, downward mobility. Even simple translation had to either be thrown out or appropriately nuanced. For Don, western univocal translation of texts was like paring down a Rembrandt painting to a charcoal sketch, for he was transfixed by the ambiguity inherent in Amharic, its texture, rich meanings and multiple depths of interpretation. I dropped by Don’s house to discuss an issue related to the 1960 coup d’etat this past summer while Don and Andrew DeCort were editing proofs of “Interpreting Ethiopia.” To the last he was a scholar and a teacher. Donal N. Levine, a distinguished and great Ethiopianist of all time just passed away at the age of 83. He published important works such as, “Greater Ethiopia”, “Wax and Gold” and “Translating Ethiopia”. GREATER ETHIOPIA is his iconic book that I suggest as a must-read by every Ethiopian. As far as impartiality, evident history and the common past of the Horn are the concerns, I personally do not know any other single writer, both from Ethiopia and abroad that can be credited like Levine. He was much more patriotic to Ethiopia than even those Ethiopians, who think they are historians. Those of you, who are not familiar with Levine and his works, please, read “Greater Ethiopia” and some of his journals on Ethiopian Studies, then you will find out for yourselves who this man really was. He actually was one of the very reasons that brought me into the study of history. I’m so so inspired by him, and very sad we lost him so soon. Regarding the history of Ethiopia and the Horn in general, I believe, no other single writer has ever taken us as far as Levine already did. His sociological studies of the Horn conducted in the late 1960s and his related conclusive theory of the study were incredibly proven to be accurate 40 years later, by the young and contemporary science of Population Genetics. Rest in peace, our hero Donald Nathan Levine. Thank you for your irreplaceable and immortal contributions in the history and sociology of our beloved Ethiopia. I had known Don for close to 60 years when we were both graduate students at Chicago and Columbia University, respectively. His two books on Ethiopia, Wax and Gold and Greater Ethiopia have been considered “must read” classics about our country’s society, history and culture ever since they were first published in the 1960s and ‘80s, respectively. He had recently completed another book for publication also on Ethiopia. He had shown me the finished manuscript of that book less than a year ago; hopefully it will see the light of day very soon. Additionally, he had previously published three major books and numerous articles in professional journals in his field of expertise, social anthropology, that were highly valued by experts in that field. He was a highly regarded professor of sociology at Chicago University until his retirement a few years ago and continued to do so from time to time, even after his retirement.. While doing field work for his first book, Wax and Gold, in Menz in the late 1950’s, he took on the name “Liben”, after a close Menzie friend he got to know well during his field work. Many of his Ethiopian friends, including myself, used to call him by that name until the very end. That pleased him a great deal as one could see from his reaction when called by that name. 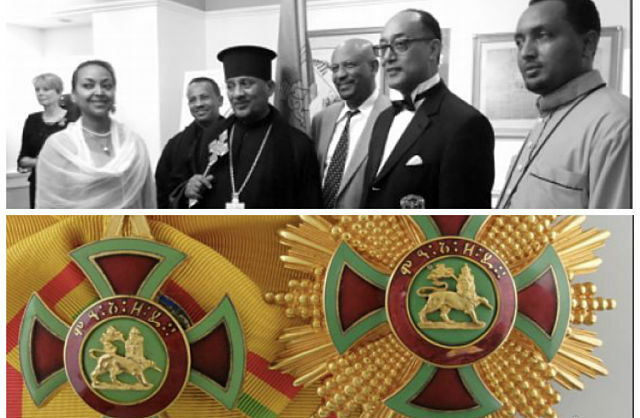 More recently, he also adopted the name of “Gebre Ethiopia” as he considered himself a genuine servant of our country. I will greatly miss Don. He was one of the few friends left from those bygone years. He has now joined the great Ethiopian scholars – Ethiopian as well as foreigners – gone forever from our midst. May he rest in peace! I have known Donald Levine at close range. He was a great friend, spiritual father, and mentor. I would have called him “an intellectual soulmate,” as he has referred to me in a note he wrote on his last book, Social Theory As Vocation (2015). To give you a sense of his generosity, when he learnt that I ended up jobless and without a means to support myself and my family in Addis Ababa after my return from Europe as a result of Jimma University’s decision to dismiss me from my teaching job in absentia, he extended his helping hand. He sent me money and books on several occasions whenever he finds people traveling to Addis Ababa. He was a frequent interlocutor from a distance and we used to exchange tones of emails between Addis Ababa where I was living and Chicago where he was based. Then I came to the US upon his invitation in October 2011. I audited one of his seminar courses on George Simmel at the University of Chicago, practiced aikido on the matt under him at the University of Chicago Dojo, arranged for me to audit Nathan Tarcov’s seminar course on Leo Strauss at the Committee on Social Thought, and generously vetted me to be part of one of the panels in the International Conference on George Simmel in 2011. It was also a great honor and pleasure to have helped him with two of his last books, Interpreting Ethiopia and Social Theory As Vocation, in which he has generously acknowledged my assistance. Levine was a keen student of Ethiopian civilization for over half a century. His initial scholarly encounter with Ethiopia dates back to 1958 when he, as a young postdoctoral fellow, started his ethnographic work living among the “extraordinarily handsome people in a setting of great natural beauty and [an] [idyllic] climate” of North Shoa, Ethiopia, which “offers a gate through time to a state of being that is richly medieval.” (1965). 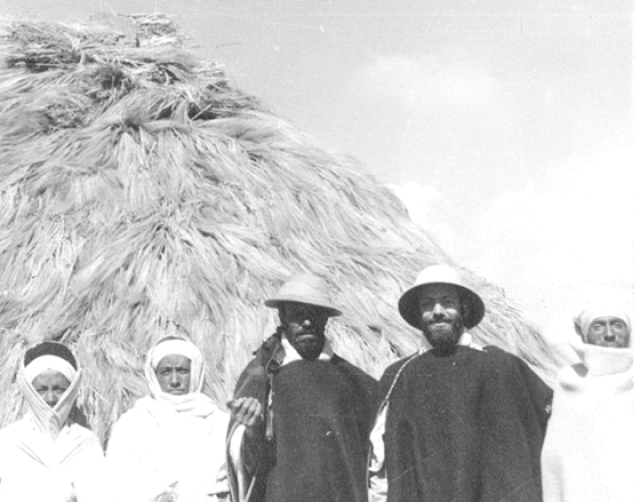 That ethnographic fieldwork resulted in his Ethiopian classic Wax & Gold (1965). In the realm of Ethiopian studies, he is also most famous for his magisterial book Greater Ethiopia (1974), which has long been considered a major contribution to understanding the phenomena of ethnic diversity and national unity in Ethiopia. Shortly before his death, he managed to put together a collection of essays on Ethiopia, Interpreting Ethiopia (2014), in which he offers his observations on the ethos and worldview, education and literature, history, politics, and cross-national connections of the cultural area that he calls Greater Ethiopia. Levine’s oeuvre is the outcome of a serious scholarly odyssey through Ethiopian civilization over space and time. He has travelled extensively through every quarter of the cultural area that he fondly calls “Greater Ethiopia” –from Massawa to Jimma, from Addis to Aksum. His intellectual odyssey pushed the frontiers of Ethiopian Studies, extending the reach of his research from the culture of the Amhara, in Wax & Gold, to that of a multiethnic society, in Greater Ethiopia, from Aksum As a Seedbed Society to Reconsidering Ethiopian Nationhood, as necessitated by the advent of the internet and immigration. In explaining what provided the bond that has continued to link him with Ethiopian over the years, he went on record, in one of his personal communication with me, saying: “the greatest thing in life is “aimless camaraderie,” as Frank H. Knight called it. Much of what has bonded me to Ethiopians over the years has been the joy of aimless camaraderie in their company.” Those of us who had the privilege to meet him in Chicago or Addis know what he means by the joy of the interaction in aimless camaraderie with fellow Ethiopians. Besides his scholarly engagement with Ethiopia, Levine was also an activist. His more activistic engagement dates back to his critical 1961 article on Haile Sellassie’s authoritarianism, which cost him his teaching job at the Haile Selassie I University. He was an ardent advocate of freedom in Ethiopia. More often than not, he voiced his concerns for academic freedom, free press, free association, free and fair elections, and loyal opposition in Ethiopia. It was in the spirit of public service that he gave a testimony before the U.S. Congress on the human rights abuses of the Dergue in 1976, engaged himself in a critical analysis of the Addis Ababa University fiasco in 1993, gave a spirited acceptance speech in defense of academic freedom at the award of an honorary doctorate from Addis Ababa University in 2004, where he emphasied the traditional mission of AAU as a university by reciting the Geez motto: “Kulu Amekeru Wezesenaye Atsneu” (Examine everything, and hold fast to what is best). Indeed, the dialogic turn that he brought to bear upon sociology and Ethiopian studies has also oriented his activistic engagement. It has been his lifelong wish and prayer for Ethiopians of all generation and walks of life to transcend the limitations inherent in their cultures soda as to dissolve the either/or metazez wey meshefet (“obey or rebel”) mentality through dialogue. 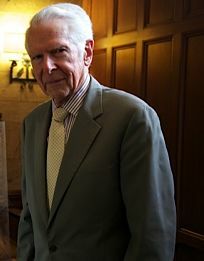 the idea that dialogue among different intellectual perspectives is a paramount cognitive and ethical objective in its own right, particularly in the context of the current postdisciplinary age—receives its fullest development at the hands of University of Chicago sociologist Donald N. Levine, whose extensive writings on the subject provide the point of departure for the twelve essays in this volume. As a distinguished theorist and historian of sociological thought, Donald Levine has been closely familiar with these pluralist currents within sociology throughout his career…. New York (TADIAS) — How do you hold elections without the role of civil society? That’s the primary question, organizers say, that panelists will try to answer at the 4th Annual International Conference of Ethiopian Women in the Diaspora when they gather this coming weekend in Silver Spring, Maryland. 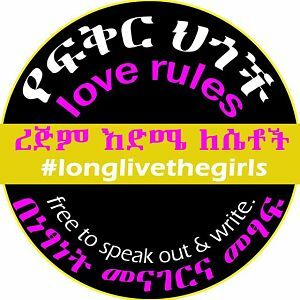 The conference hosted by the Center for the Rights of Ethiopian Women (CREW) will be held on March 7th at the Silver Spring Sheraton. The day-long program includes discussions focusing on the impact of Ethiopia’s Societies and Charities Law, which severely restricts the activities of nongovernmental organizations, including women’s associations. Guest speakers include Dr. Tsehai Berhane-Selassie, Mr. Kassahun Yibeltal, Dr. Melakou Tegegn, Dr. Erku Yimer, Ms. Soliyana G. Michael, and Mr. Obang Metho. 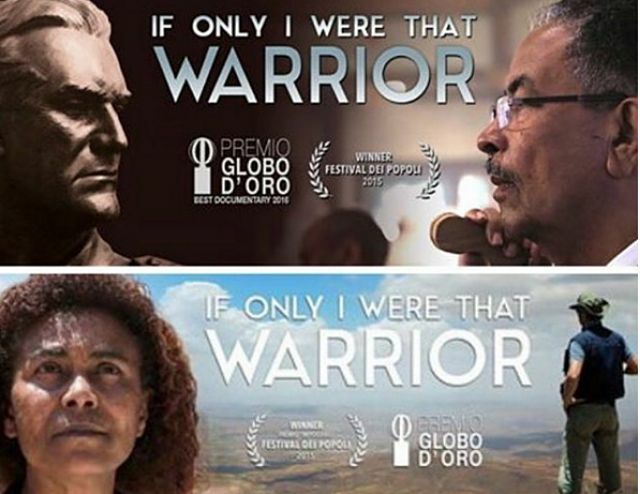 In addition, CREW said, their event features the screening of Hayal Hayl, a documentary film by Elias Wondimu of Tsehai Publishers, which looks at non-violent movements that brought about fundamental social changes in the 20th century. Kibrom hopes to reach the younger generation with his music. 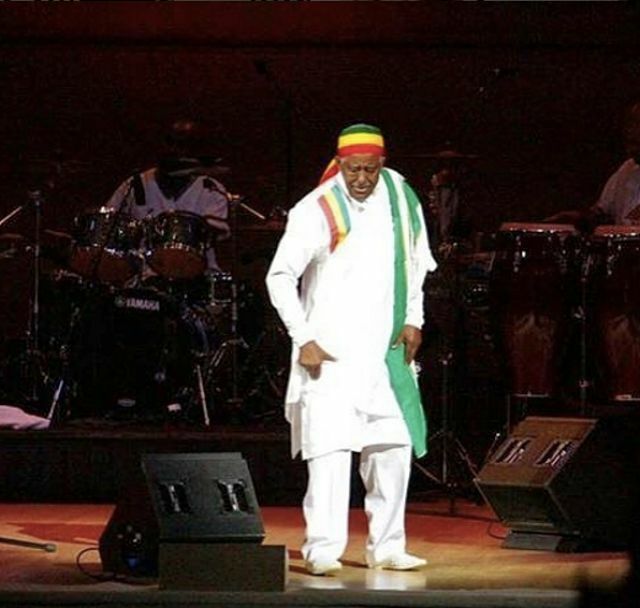 He sees the power of fusion as a way to expose individuals to Ethiopian music while adopting a style that is already familiar to them (such as jazz). Kibrom has already garnered some success including writing the score for the documentary film ‘Sincerely Ethiopia,’ singing in the award-winning documentary ‘Get Together Girls,’ and composing music for the documentary on the African Union’s 50th year celebration. “The raw sincerity of Birhane’s music seeks to make strong connections with listeners as they are transported on a musical journey. 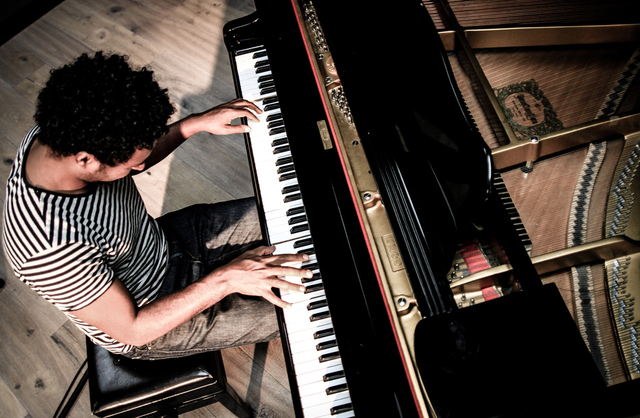 And a journey it is – Kibrom uses Ethiopian scales, which are rarely heard in Western music. 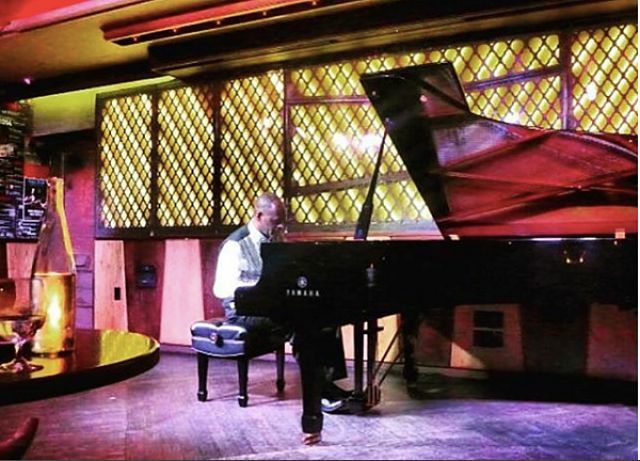 The distinct nature of these scales makes for hypnotic listening,” states Tsehai Records. For more information please visit www.tsehaipublishers.com, or email at info@tsehaipublishers.com. Kibrom’s CD is also available on iTune , Amazon, Google Play and Rhapsody. 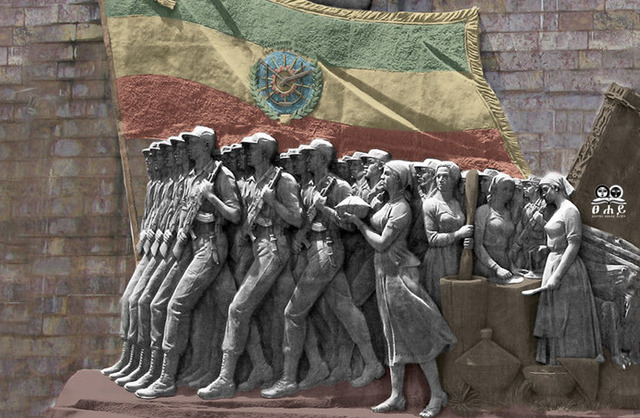 New York (TADIAS) — In a new book by Dr. Belete Belacehw Yihun, entitled Black Ethiopia published by Tsehai Publishers, the diplomatic history of Ethiopia and the legacy of Haile Selassie is revisited with the scales of history rebalanced to show more sides of the embattled leader. 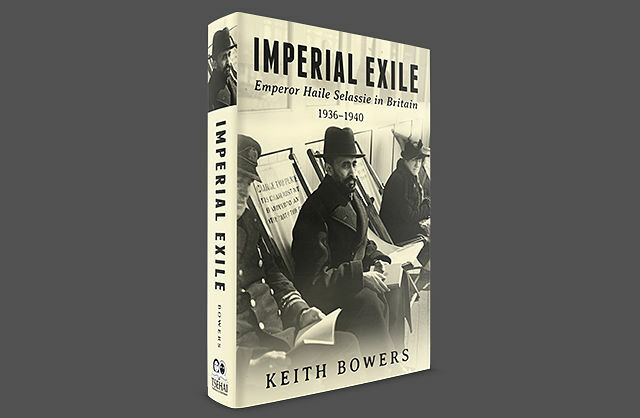 According to Dr. Christopher Clapham at the Centre of African Studies at Cambridge University, “This book tells the remarkable story of how Ethiopia seized the diplomatic leadership of Africa.” While many historical materials on Haile Selassie’s diplomatic efforts remain inaccessible to the general public, Belete’s book is among the few compiled resources on Ethiopian diplomacy in modern Ethiopia, which studies the time period between 1956 and 1991 as Ethiopia took the reigns of African diplomacy that continued in subsequent governments. “If we are to truly understand the events of the present, we must look to the past for answers,” adds Elias Wondimu, founder of Tsehai Publishers. “We must look with a critical eye toward the past and examine why events happened and why people are perceived and ultimately preserved a particular way.” The scarcity of compiled documentation of Ethiopian diplomacy, especially in a time of great change and modernization, makes this book a particularly valuable piece of history. Just over two years ago, on the the eve of the fifty year anniversary of the founding of the Organization of African Unity (OAU) / African Union (AU) was celebrated as the new AU headquarters in Addis Ababa, Ethiopia opened its doors for its inaugural summit to large fanfare. The celebration included the unveiling of a bronze statue of one of the most famous leaders of the organization, Kwame Nkrumah. A quote from Nkrumah was inscribed in front of the statue in golden letters, “Ethiopia shall stretch forth her hands unto God. Africa must unite.” The quote epitomizes the significant role that Ethiopia played towards the founding of the OAU. Nkrumah, the leader of the Casablanca Group, fought for a completely united Africa under the motto “One continent, one nation”. Nkrumah’s contributions to African unity are invaluable, and yet the statue has stirred debate not just in Ethiopia, but worldwide as Nkrumah’s legacy is only one part of OAU’s origins. Emperor Haile Selassie, who was a uniting figure among the different factions, is another person who played a major role in convincing African leaders to bypass their ideological divisions to work together. 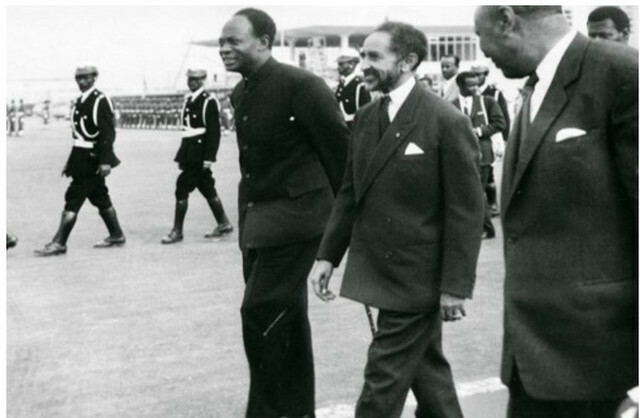 As a well-regarded international statesman of his time, Emperor Haile Selassie led the way to the establishment of the OAU in Addis Ababa in 1963. Dr. Theodore M. Vestal, Professor Emeritus of Political Science at Oklahoma State University, sums up Ethiopia’s impact on African politics in the following way, “Ethiopia has a long history of leadership in the Pan-African Movement, the complicated mosaic of continental and regional political and economic association liberation movements and mediation efforts.” Undoubtedly Haile Selassie was a major part of this tradition as he set a standard of statesmanship that has helped to advance Ethiopia and all of Africa towards a united global force. You can learn more about the book at store.tsehaipublishers.com. 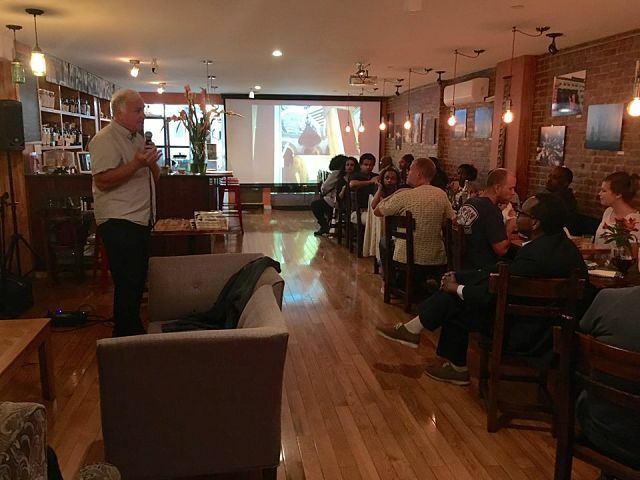 Washington D.C (TADIAS) – The life and accomplishments of Ethiopian poet and playwright, Tsegaye Gabre-Medhin, was celebrated last Friday in downtown Silver Spring, Maryland. 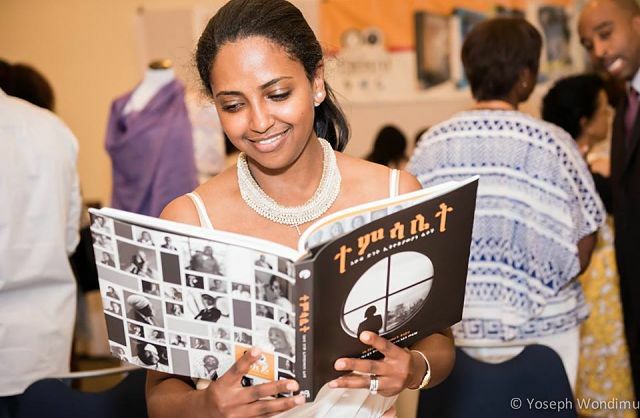 The event highlighted Fasil Yitbarek’s book entitled Soaring on Winged Verse, which is the official biography of Tsegaye Gabre-Medhin — one of Africa’s most important literary figures. The gathering, which was hosted by Taitu Cultural Center during its popular monthly poetry night YeWeru Gitm Mishit on July 26th, was attended by a large number of people from the Ethiopian community including families and friends of the late Poet Laureate who would have marked his 77th birthday this August. The biography was printed by Tsehai Publishers in 2011 and is dedicated “to those whose creative inspirations springs from their love of Ethiopia.” In his book, Fasil chronicles the remarkable story of Mr. Tsegaye’s humble beginnings in rural Ethiopia from the town of Boda, near Ambo, to become one of the most recognized men of letters in the country as well as one of the most prolific and acclaimed writers of his generation. The poet’s distinguished resume spans luminary works of more than 45 plays and an influential collection of Amharic poetry entitled Isat Woy Abeba (Blaze or Bloom). 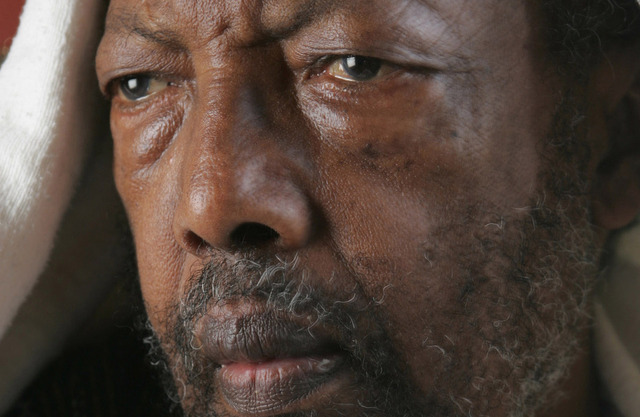 Poet Laureate Tsegaye Gabre-Medhin passed away in February 2006 at the age of 69 while receiving medical treatment in New York. His body was flown back to Ethiopia and buried at the Holy Trinity Cathedral in Addis Ababa. 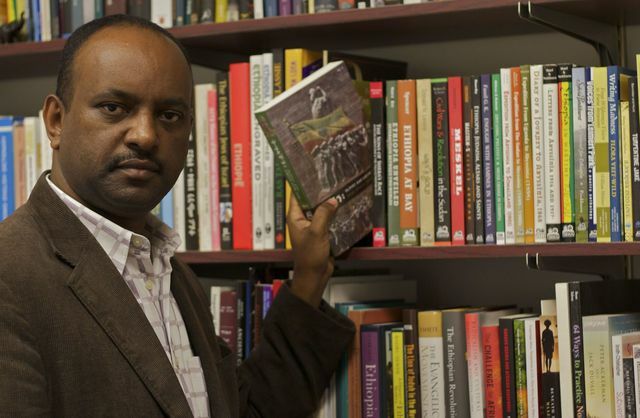 In a Q&A with Tadias Magazine, Fasil said Soaring on Winged Verse is based on several interviews, which he conducted in New York with the late Tsegaye some ten years ago at the poet-playwright’s request. “We used to meet once a week for a couple of hours and I was able to record about 30 cassettes on various occasions,” Fasil said. 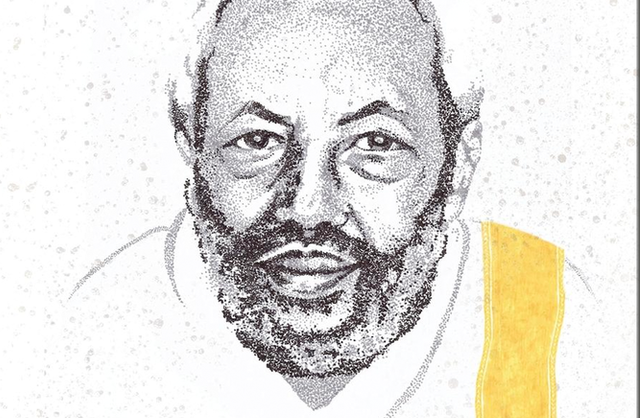 However, Tsegaye passed away before they completed the interviews for the book, and he fondly recalled their weekly sessions as “unforgettable moments in my life.” Fasil said he was able to fill the gap through further research of both published and unpublished sources. 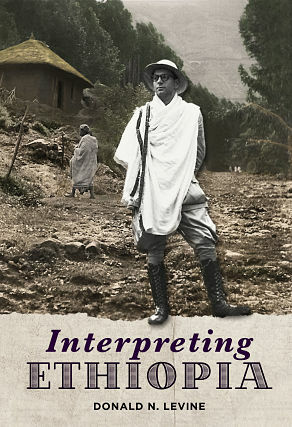 “I was lucky to be chosen by Tsegaye to write this book.” Fasil added. 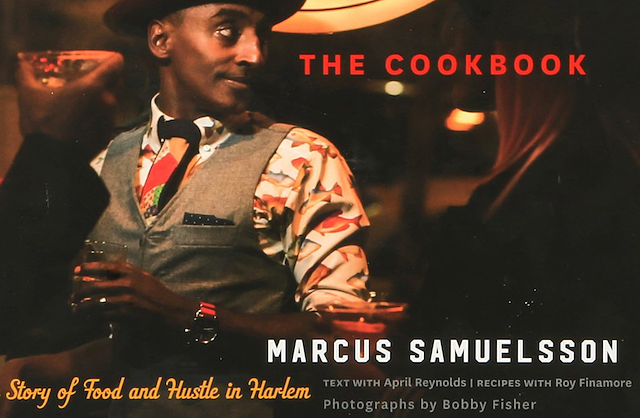 You can learn more about the book and order your own copy at www.tsehipublihers.com. “Soaring on Winged Verse” is also in the process of being translated into Amharic. 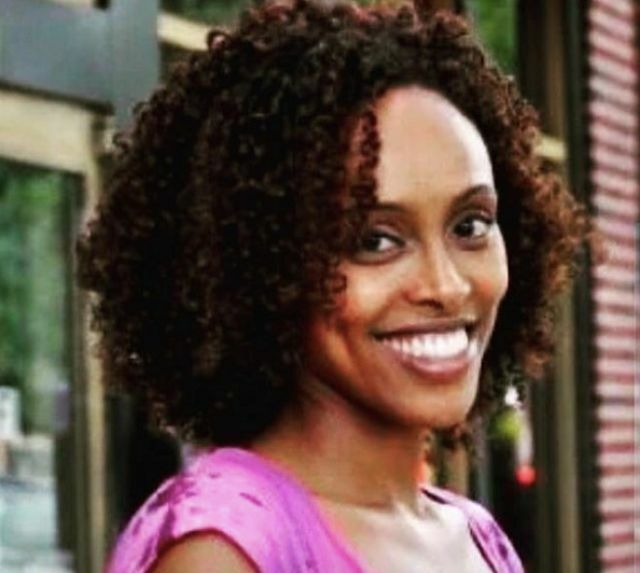 New York (TADIAS) – Novelist and writer Dinaw Mengestu, winner of the 2012 MacArthur Foundation’s “genius grant,” is one of several Ethiopian-Americans highlighted in an upcoming coffee table book by California-based Tsehai Publishers. 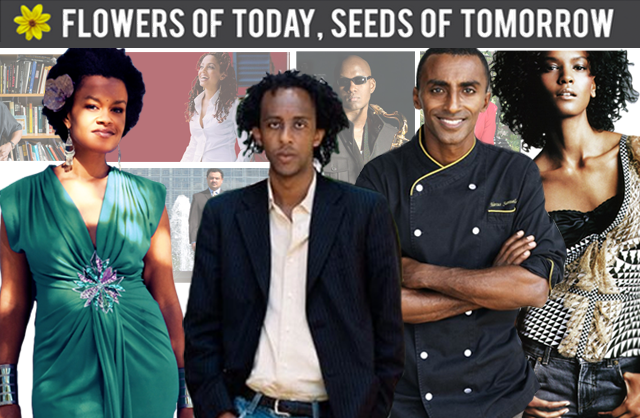 The publication documents the professional success of first and second generation Ethiopians in the United States and the Diaspora. Additional features include entrepreneurs, artists, authors, musicians, and scientists such as Dr. Sossina M. Haile, Professor of Materials Science and Chemical Engineering at California Institute of Technology and an expert in materials science and fuel cells; Dr. Zeresenay Alemseged, Director and Curator of the Department of Anthropology at the California Academy of Sciences and the paleoanthropologist who discovered the 3-year-old Selam (nicknamed Lucy’s baby), which lived 3.3 million years ago in Ethiopia and is considered the earliest known such fossil excavated in the history of Paleontology; Dr. Dagmawi Woubshet, Assistant Professor of English Literature at Cornell University; as well as chef Marcus Samuelsson, artist Julie Mehretu, Grammy-nominated singer and songwriter Wayna (Woyneab Miraf Wondwossen), and Grammy-nominated musician and philanthropist Kenna (né Kenna Zemedkun), who in 2010 led a group of celebrity friends to climb Mount Kilimanjaro in order to raise awareness about the international clean water crisis. Tsehai Publishers is seeking public funding for the book via Kickstarter, an online funding platform. Click here to learn more and support the project. Again, whatever religious belief system they follow – Christianity, Judaism, Islam, or the worship of Waaq – Ethiopians exhibit a keen sense of respect for moral standards. What is more, I have found Ethiopians of many classes and ethnic groups to be mature in cautioning against impulsive and socially destructive behaviors. Indeed, what I have glossed as the culture of Wax and Gold reflects a wish to avoid saying things that will illicit negative reactions from those with whom they associate. The brazen act of the debteraw.com website in scanning and posting the text of Tiglatchn by Mengistu Haile Mariam is patently illegal and so repeats the very behavior that they condemn. On this point, a number of attorneys have assured me that such action stands in clear violation of international and national copyright laws. Although the responsible party claims justification by virtue of a “Son of Sam Law” which prohibits criminals from profiting from their crimes by selling their stories, Colonel Mengistu, however, has not been paid for this book. The publisher not only gave him no money for the manuscript but stands to incur a loss in producing this publication. It is, moreover, unethical, since it violates commonly shared ethical standards by virtue of responding to a displeasing act with an effort to destroy the perpetrator. Finally, it is doubly imprudent. On the one hand, illegally posting this manuscript in digital form only serves to increase exponentially the distribution of what this website has condemned as a “book of lies.” Indeed, the point should be emphasized that such a wide distribution will likely strengthen the credibility and endurance of Mengistu’s claims rather than their condemnation. What is more, it aborts the opportunity that publication provides for serious critical scrutiny of a book that patently contains a great number of unsustainable claims. This action might also discourage the Press from publishing a memoir of the EPRP. On the other hand, the attack on Tsehai Publishers reinforces a tendency among Ethiopians to vilify and defame one another when they disagree. As I have argued for decades, this tendency stands to impede the formation of productive public discourse and to reinforce cycles of violent conflict. The victim of this triply unscrupulous revenge, Tsehai publisher Elias Wondimu, is a truly heroic Ethiopian, who has invested a huge amount of his life in producing a harvest of publications that can help Ethiopians understand themselves and appreciate their rich traditions and complex society. I can think of no more appropriate response by all Ethiopians, including enlightened EPRP members, than to proceed forthwith to tsehaipublishers.com and order three books. It would be no less appropriate to send a contribution to the Press for the legal defense fund, which they will need to resolve the legal aspect of this unfortunate affair. Donald N. Levine served as the Peter B. Ritzma Professor of Sociology at the University of Chicago. His research and teaching interests focus on classical social theory, modernization theory, Ethiopian studies, conflict theory and aikido, and philosophies of liberal education. 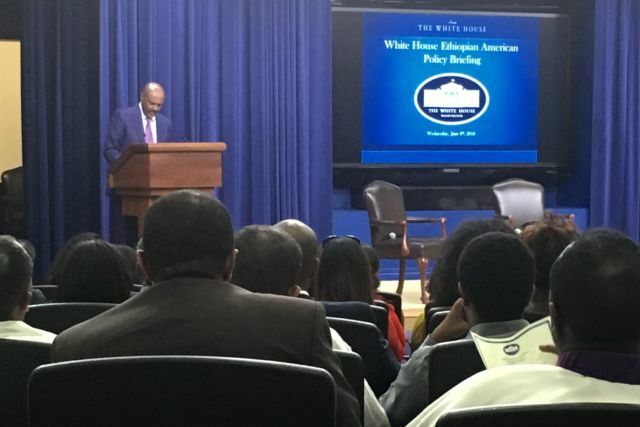 New York (Tadias) – A special celebration honoring the life and work of Ethiopia’s Poet Laureate, the late Tsegaye Gebremedhin, will be held in Addis Ababa and Washington DC throughout the year. And one of our most favorite definitions of Ethiopia comes from our own Poet Laureate. “The Ethiopia of rich history is the heart of Africa’s civilization,” he wrote. “She is the greatest example of Africa’s pride. Ethiopia means peace. The word ‘Ethiopia’ emanates from a connection of three old black Egyptian words, Et, Op and Bia, meaning truth and peace, up and upper, country and land. Et-Op-Bia is land of upper truth or land of higher peace.” No one has put it more eloquently. 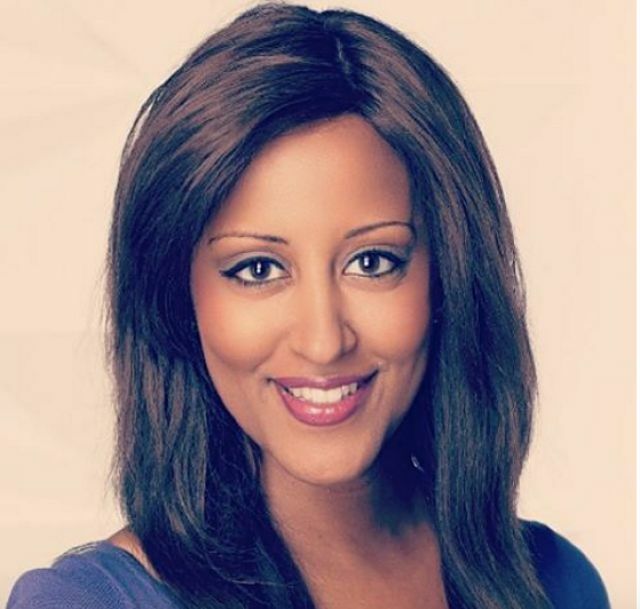 Tsegaye Gabre-Medhin is a revered soul who brought out the best of his homeland – her stunning peaks and valleys, her triumphs and struggles, and always reminding us to rise and grow into our best selves. For more information, please contact: tsegayegm75@gmail.com. a compelling case for education reform in the African nation. New York (Tadias) – Education, Politics, and Social Change in Ethiopia analyzes the historical and cultural events that have shaped modern Ethiopia and displays them through a panoramic view. 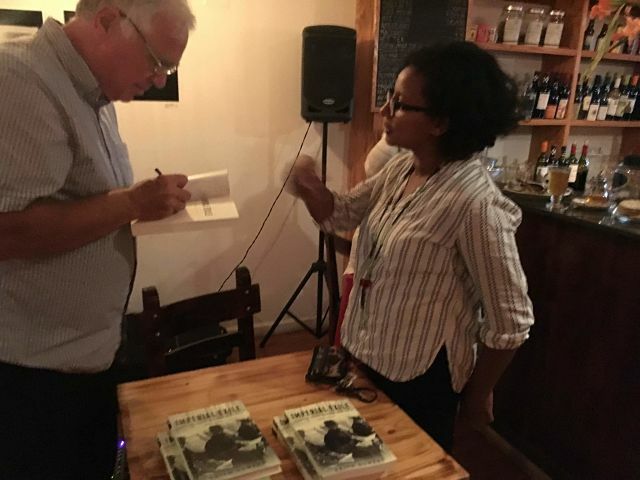 Edited by Paulos Milkias, Professor of Humanities and Political Science at Marianopolis College in Canada, and Messay Kebede, an Associate Professor of Philosophy at Dayton University in Ohio – the book compiles several articles concerning the past, present and future of Ethiopian education. 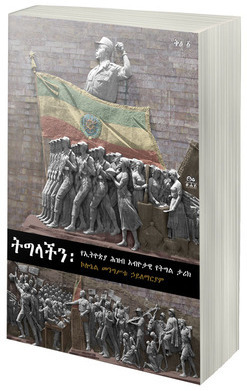 Through the perspectives of philosophers, political scientists, economists, historians, anthropologists, and university researchers, the book displays a multidisciplinary analysis of the complexities influencing the future of Ethiopia. “I recommend this book to anyone interested to feed their intellectual-soul on education, development, and politics in Ethiopia” says Dr. Worku Negash, Vice President of Administrative Services at Mission College in California. This book is comprised of articles, including Towards a Critical Ethiopian Theory of Education by Maimire Menasenmay, The Curse of English as a Medium of Instruction in the Ethiopian Education System by Tekeste Negash, and The Challenge of Modernity: Western Education and the Demise of Feudalism in Ethiopia. Each author approaches the issue of Ethiopian education from a different perspective, sharing theories and critiques that span across several academic disciplines. Although the authors speak through different lenses, the need for educational reform echoes as the resounding message in the book. The Christian Relief and Development Association (CRDA) believes that education is the “single most important change needed to hasten the socio-economic development of poor nations like Ethiopia.” But it is not only the availability of education that is needed to better Ethiopia socially and economically; the quality and method of teaching is essential to solving Ethiopia’s problems in the twenty-first century. 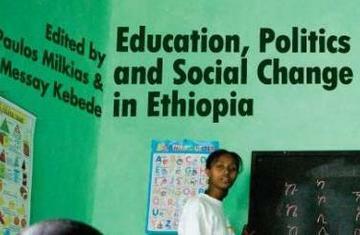 The articles included in this book were presented and debated at a workshop on “Education and Social Change in Ethiopia” held at the University of Dayton on May 13th and 14th, 2006. The workshop highlighted features of modernization in many African nations, which did not adequately address the issue of education reform. Education, Politics, and Social Change in Ethiopia critiques the benefits and drawbacks of a western system of education, emphasizing the correlation between education and politics. In order to educate all Ethiopians, not just the privileged few, on the politics and ideologies of regimes who have governed Ethiopia in the past, a new system of educational goals must be implemented. The current content and guiding principles of Ethiopian education are not conducive to the creation of an educated people capable of promoting economic prosperity, democratic values and national integration. To have these changes occur it is not enough to only change the person in power. It needs to be reflected in the system of education. In essence, the effectiveness of an educational system should be tested and strengthened in order to assist a new generation of citizens to solve global dilemmas. You can purchase the book at: TshaiPublishers.com. of Tsehai Publishers, May 31, 2009). The de Young Museum hosts Meklit Hadero and Todd Brown: Light, Shadow, and the Quiet Song Between through June 27th as part of the Fine Arts Museums of San Francisco Artist-in-Residence Program in the Kimball Education Gallery. Read more at San Francisco Sentinel.com. 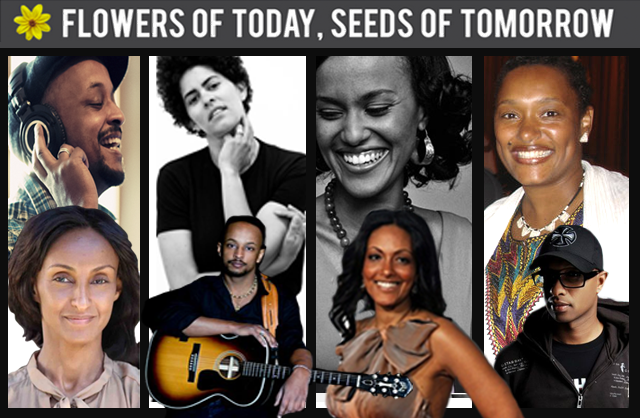 Ethiopia native MEKLIT HADERO is a singer, musician, cultural activist, and previous director of the Red Poppy Art House in San Francisco. Meklit has lived in twelve cities, on three continents, and her musical explorations span cultural influences and genres. 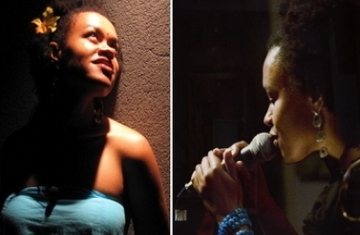 In December of 2007, Meklit released her first recording, titled Eight Songs. 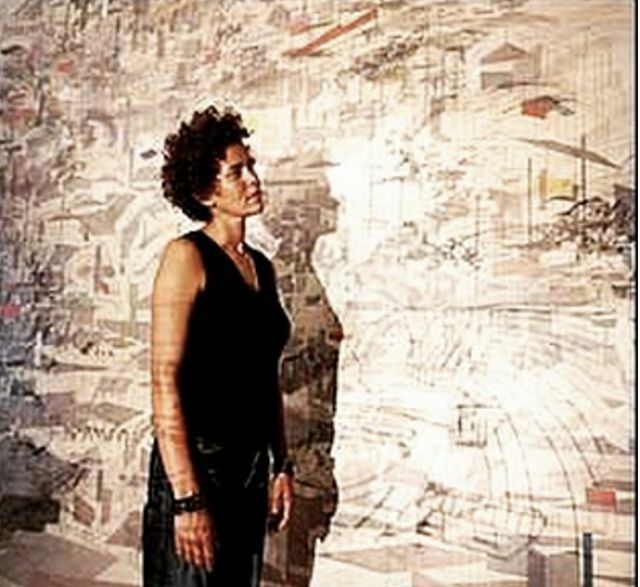 She is the recipient of a 2008 Individual Grant from the Belle Foundation for Arts and Culture. 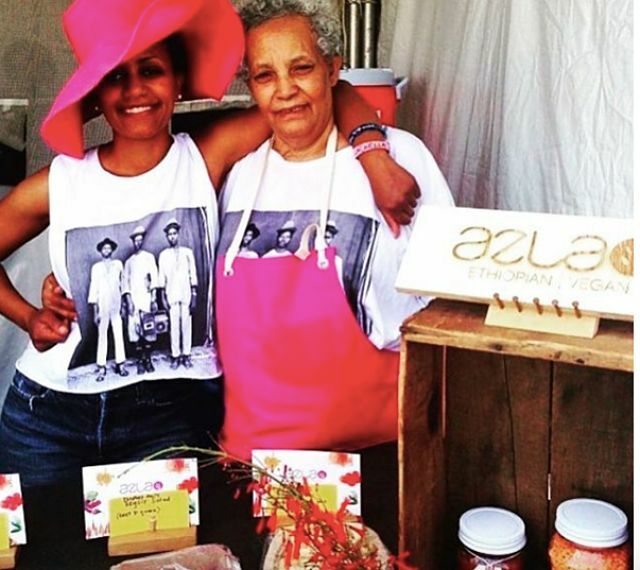 Currently, she is organizing a group of Ethiopian Diaspora artists from across North America to return to Ethiopia for a festival of traditional music at the end of this year. Meklit was selected as a 2009 TED (Technology, Entertainment, Design) Global Fellow. The TED conference is a large gathering of artists, scientists, engineers, entrepreneurs, and designers who are at the cutting edge of their fields. Along with Brown, she is a central composer, lyricist and co-founder of the musical ensemble Nefasha Ayer. 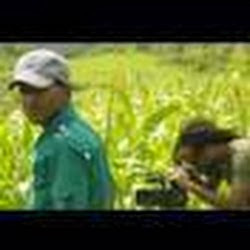 Listen to Meklit’s work: MEKLIT HADERO. 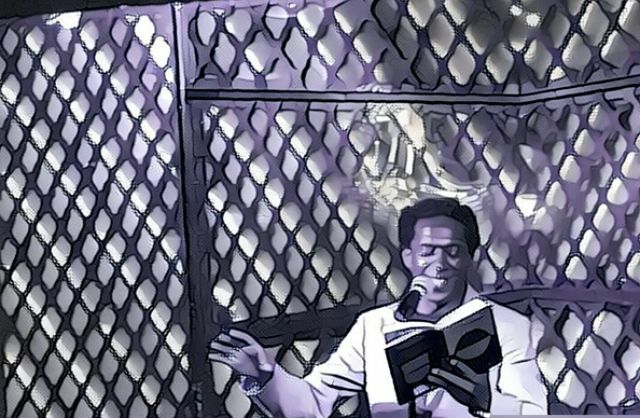 Related: Meklit Hadero at Tsehai Poetry Jam in L.A.
New York (Tadias) – An intergenerational poetry reading and panel discussion examining four decades of Ethiopian immigrant’s life in the U.S was held earlier this month in Los Angeles. 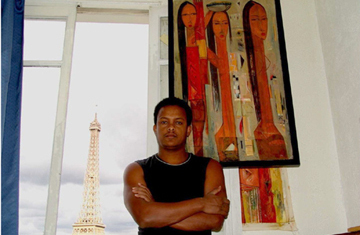 New York (Tadias) – Featured in exhibitions in two prestigious French galleries in Autumn 2008, Galerie Alternance in the north and Galerie Cabotse in Paris, the work of Fikru Gebre Mariam has reached new levels of both aesthetic power and public recognition. The moment is ripe for looking back at Fikru’s oeuvre and taking a fresh look at his artistic development. Inspired to pursue an artistic career after winning an award at age 13 at the International Children’s Painting Exhibition in Beijing, Fikru began formal study at the Addis Ababa School of Fine Arts, founded a half-century ago by the distinguished artist Ale Felege Selam, who introduced modern methods of teaching drawing and painting, which he had studied at the School of the Art Institute of Chicago in the 1950s. There he became a protégé of instructor Tadesse Mesfin, who not only taught him painterly skills but gave him a graphic theme which he would embrace, struggle with, and grow through, ever since. The motif was a variant of a genre of contemporary Ethiopian painting sometimes glossed as “2 women,” a phrase used to represent women doing everyday tasks like spinning and making pottery, as shown in one of his paintings. 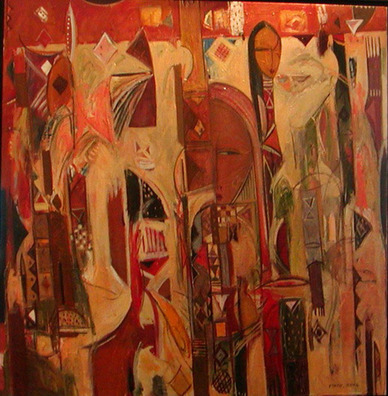 Although some Ethiopian artists often dismiss their works in this genre as mere touristic products, not expressive of their true selves, others have turned it into a serious genre. In Fikru’s hands, it became a vehicle for one epiphany after another. He has gone from depictions of groups of women standing, to more abstract representations, often with masks, to purely abstract creations. At each phase similar qualities strike the viewer. They convey a blend of rich hues, emotional intensity, immediacy of impact, and a touch of austerity. If asked to compare them to European artists, I would say that Fikru’s compositions offer a blend of Modigliani figures in a Giacomettian “Still Ladies” stance presented with Braquean geometric abstraction. In a conversation with the artist, Fikru let me know that Braque was indeed his favorite artist. 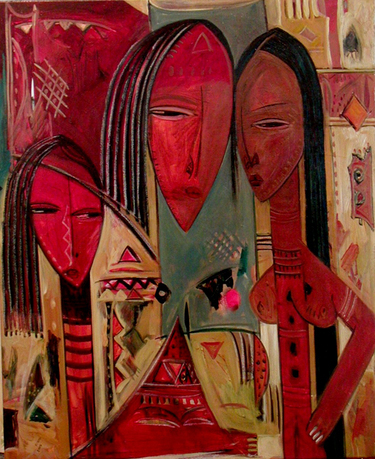 Even so, there is no mistaking the deeply Ethiopian flavor of these paintings. They display hints of Ethiopian miniatures and church paintings. They are imbued with African earth tones. They use the colored garments of Harari women. They capture the somber mood of much Ethiopian life. Aubigny sur Nère (18700), France. Opening on May 5th at 5pm. 2008: summer: Galerie Alternance Guy Lignier, Hardelot, France. G/Mariam (Addis Ababa & Paris). Seriousness but not somberness is immediately evident when one meets the artist–a rugged, good-looking, almost athletic Ethiopian male in his mid-thirties. He could be, and really is, an assiduous businessman. He works without stop, producing a seemingly endless flow of polished products. His studios in both cities are packed with canvasses like rush-hour traffic. This enables him to live fairly inexpensively and yet maintain a wealth of paintings for sale, in contrast to Ethiopian artists in the Diaspora who often find it difficult to make ends meet. Even so, it is not mainly a commercial motive that drives his prolific output. His social conscience remains alive and well; his many awards include posters against AIDS and for Family Planning. Beyond that, Fikru’s being patently manifests his relation to art as a vocation in the deeper sense. It offers him a constant challenge to let his spirit grow. This is one reason why I believe his work has such an impact on viewers. It certainly had on me. That said, the exceptional value of the art of Fikru Gebre Mariam may lie in its capacity to mediate Ethiopian and Western worlds, yet at a level that marks him as one of Ethiopia’s most acclaimed international painters. Learn more about Fikru Gebre Mariam at www.fikru.fr. Donald N. Levine is the Peter B. Ritzma Professor Emeritus of Sociology at the University of Chicago. “He is the author of many books, chapters and articles on Ethiopia and has had direct involvement in Ethiopian affairs since the 1960s. His works on Ethiopia include: Wax and Gold: Tradition and Innovation in Ethiopian Culture (1965), now reprinted by Tsehai Publishers and Greater Ethiopia: The Evolution of a Multiethnic Society (1974), a second edition of which, with a new preface was published, in 2001. Other publications include Visions of the Sociological Tradition (1995) and, most recently, Powers of the Mind: The Reinvention of Liberal Learning.” (The Ethiopian American.). Professor Levine’s research and teaching interests focus on classical social theory, modernization theory, Ethiopian studies, conflict theory and aikido, and philosophies of liberal education. Cocktails for Reading: Oct 11th in Washington D.C.
New York (Tadias) – Bernos in collaboration with Ethiopia Reads and Tsehai Publishers announced the launch of ‘Cocktails for Reading’ a social networking event for readers, publishers, authors and writers in the Ethiopian American community. 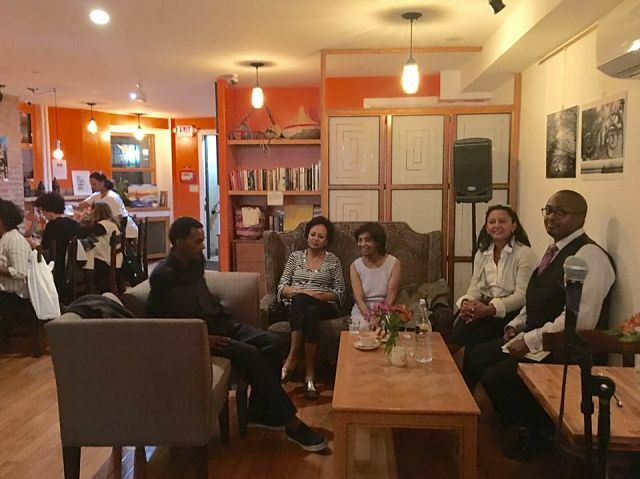 Aimed at promoting reading among Ethiopians, the first gathering is scheduled to take place on October 11th at Touchstone Gallery in Washington D.C.
“The format is simple,” Bernos Founder Nolawi Petros tells Tadias. He describes it as “a party promoting reading among Ethiopians with cocktails, speakers, books, and souvenirs thrown in the mix.” The Cocktails for Reading website includes a signup email list and takes advantage of online Google and Yahoo calendar reminders as well as popular social networking site Facebook to attract a diverse population of attendees. 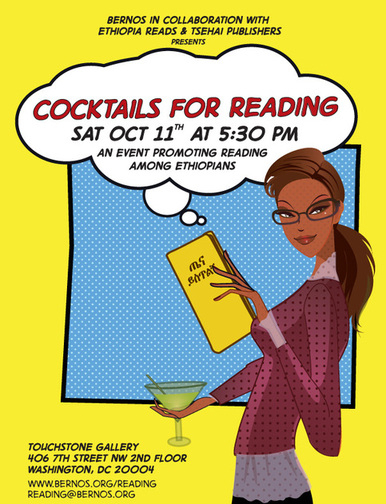 The October Cocktails for Reading event will be hosted by Elias Fullmore from the Burntface music group and featured keynote speakers include CNN Hero Yohannes Gebregeorgis of Ethiopia Reads and Elias Wondimu, Founder of Tsehai Publishers and Distributor. The event will also host tables for authors who will be selling their recent books and participating in book signing. Invited participants to include Nebiyou Mekonnen, Fasil Yitbarek, Dej. Zewde Gebresellasie, Andarge Asfaw, Getachew Metaferia, Tewodros Abebe and Tayitu Entertainment. 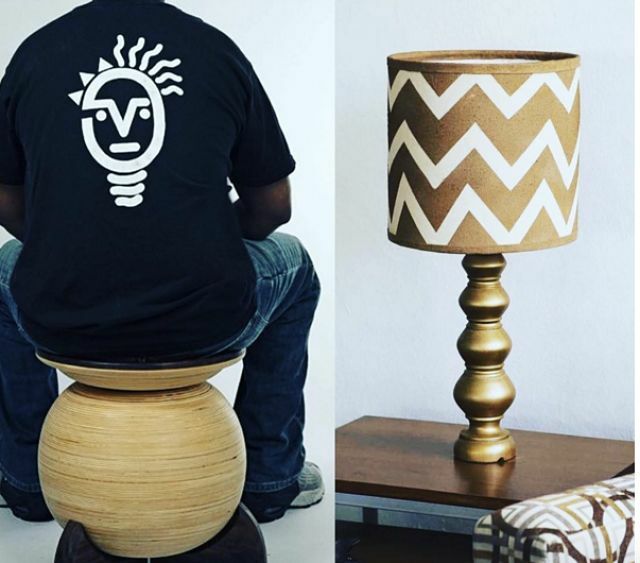 Bernos is an innovative clothing company that creates high-quality, eye-catching t-shirts featuring African themes. Ethiopia Reads works to improve literacy and create a culture of reading in Ethiopia, in order to bring hope, vision and educational skills to this generation of Ethiopian children. They plant libraries for children to provide quality reading materials, publish books in local Ethiopian languages and train teachers and librarians to nurture a love of reading and books. Tsehai Publishers and Distributors is a publishing company founded with the intention of spreading currently absent knowledge about underserved communities, such as the African Diaspora. Cocktails for Reading, Saturday October 11th, 2008 at 5:30pm (Touchstone Gallery, 406 7th Street NW 2nd Flr, Washington, DC 20004. For more information about the event please email reading@bernos.org. New York (TADIAS) – In their travel section published today The New York Times highlights three books for first-time visitors to read before going to Ethiopia so they may acquaint themselves with the history and culture of the country. Asfa-Wossen Asserate’s recent book provides an authoritative, insider’s perspective and a refreshingly balanced look at this fascinating international figure who was the global face of Ethiopia for most of the 20th century. It helps that the author is Haile Selassie’s grandnephew. (Tadias Review: New Book on Triumph & Tragedy of Ethiopia’s Last Emperor Haile Selassie). There are many more wonderful books on Ethiopia at tsehaipublishers.com. 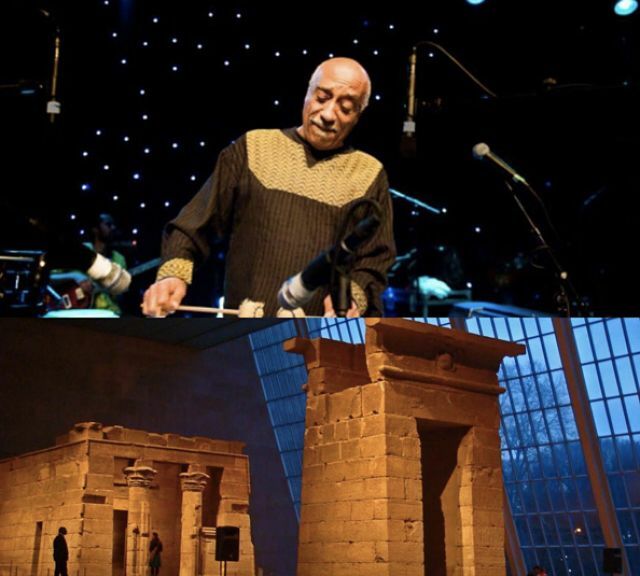 New York (Tadias) – Singer-songwriter Meklit Hadero will headline the concert at Bernos’ four year anniversary event in Washington, D.C. next weekend on May 29th, 2010. The Ethiopian-born artist has been attracting national attention with the release of her new album On A Day Like This. 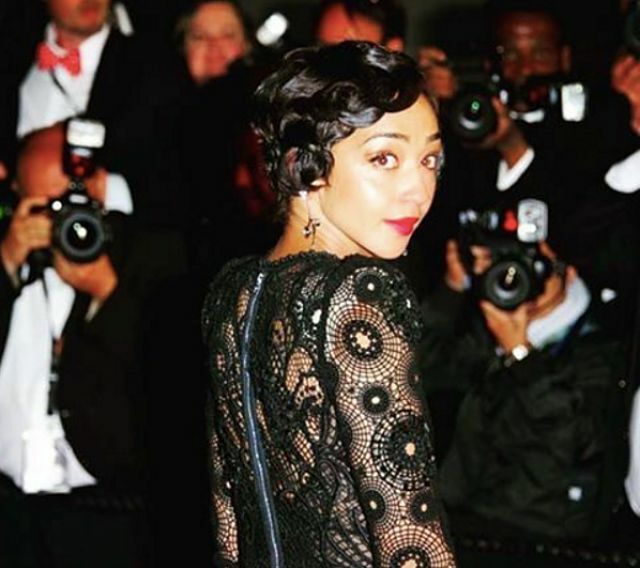 Reviewers have compared her voice to that of the legendary singer Nina Simone. 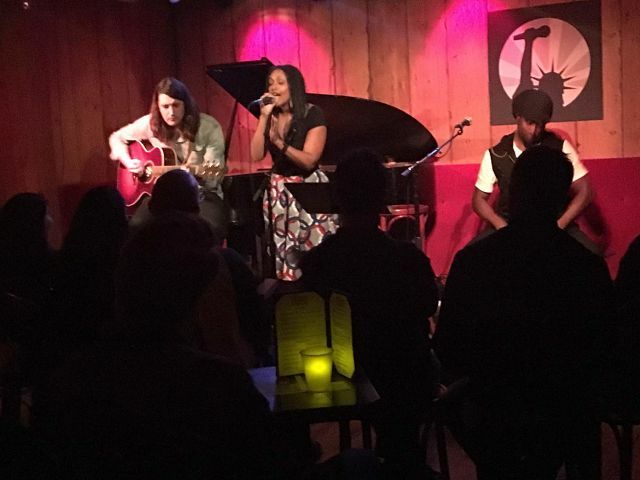 “Once you hear her smooth and silky voice it will be hard to forget it,” NPR’s Allison Keyes recently reported. 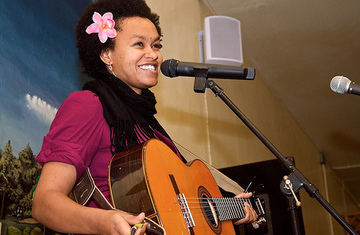 Hadero obtained a bachelor’s degree in Political Science before moving to San Francisco to pursue her true love – music. 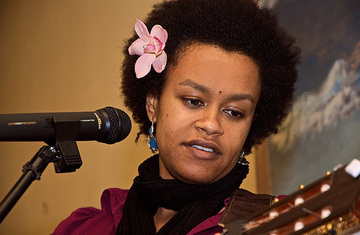 NPR’s guest host described Hadero’s sound as “a unique blend of jazz, Ethiopia, the San Francisco art scene and visceral poetry.” “It paints pictures in your head as you listen,” she adds. The upstart fashion company Bernos says that it is excited to host Hadero at its upcoming celebration. The event takes place at the Warehouse loft in Washington D.C. on May 29, 2010. Learn more and buy tickets at Bernos.org. Meklit Hadero “Leaving Soon” music video from Salvatore Fullmore on Vimeo.